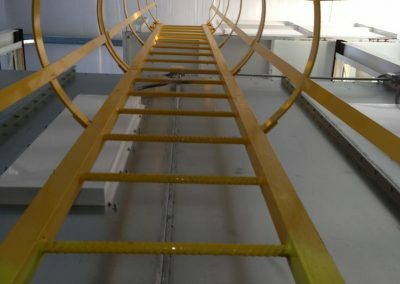 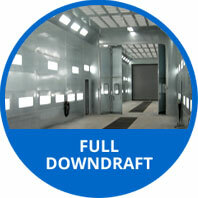 We understand that not everyone paints small parts or components. 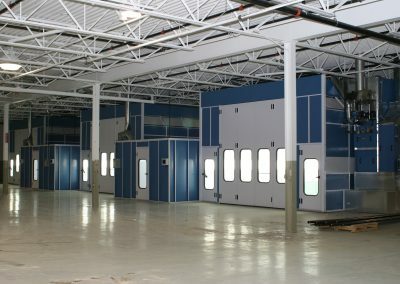 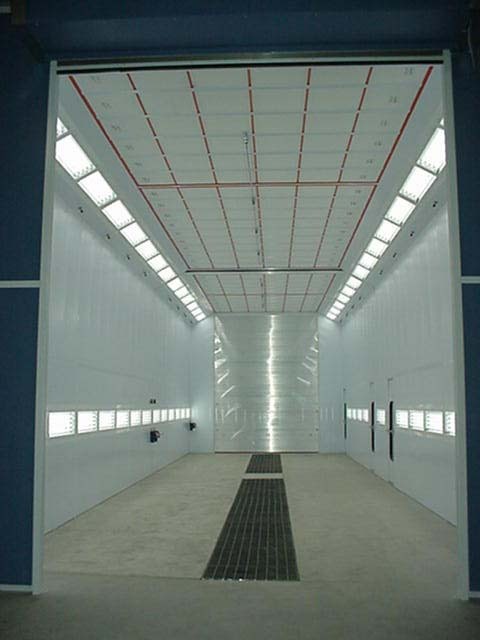 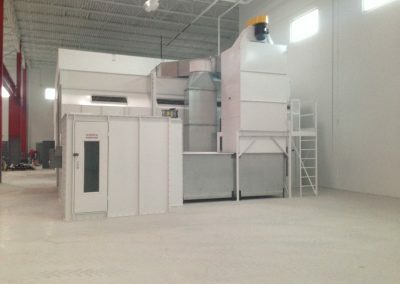 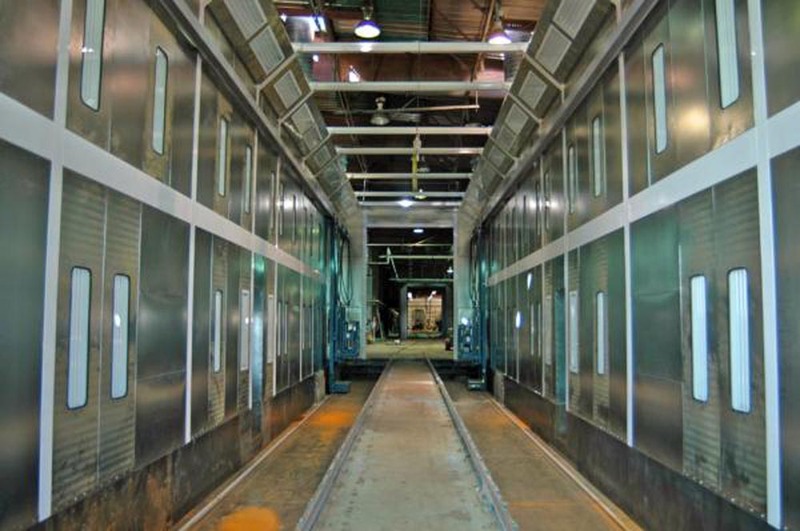 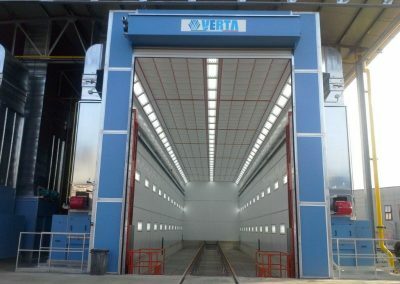 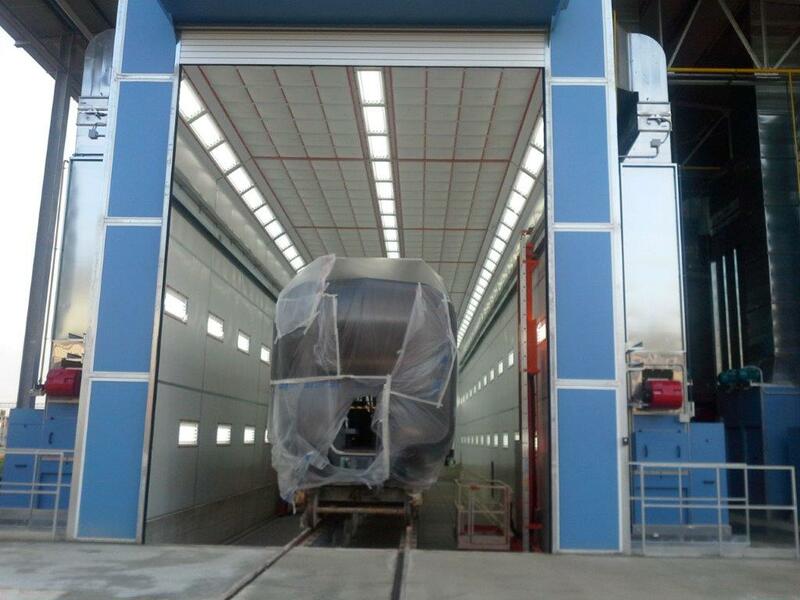 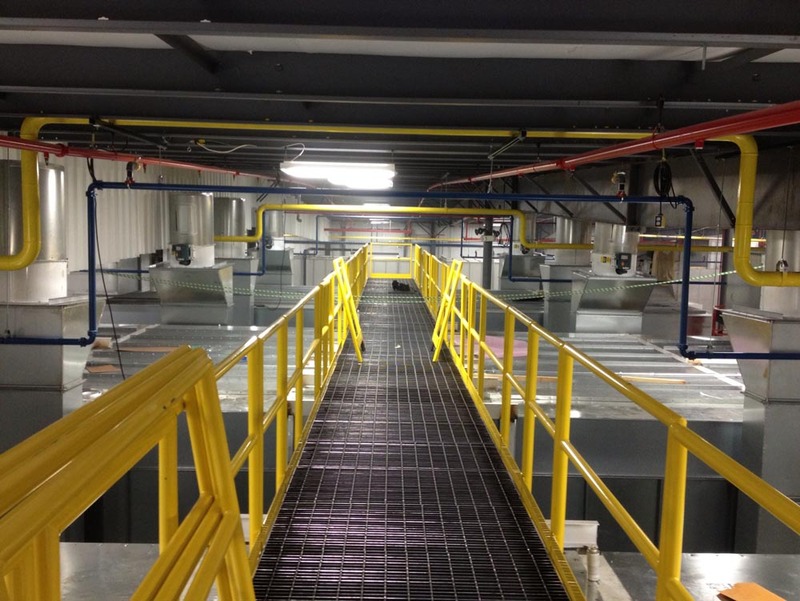 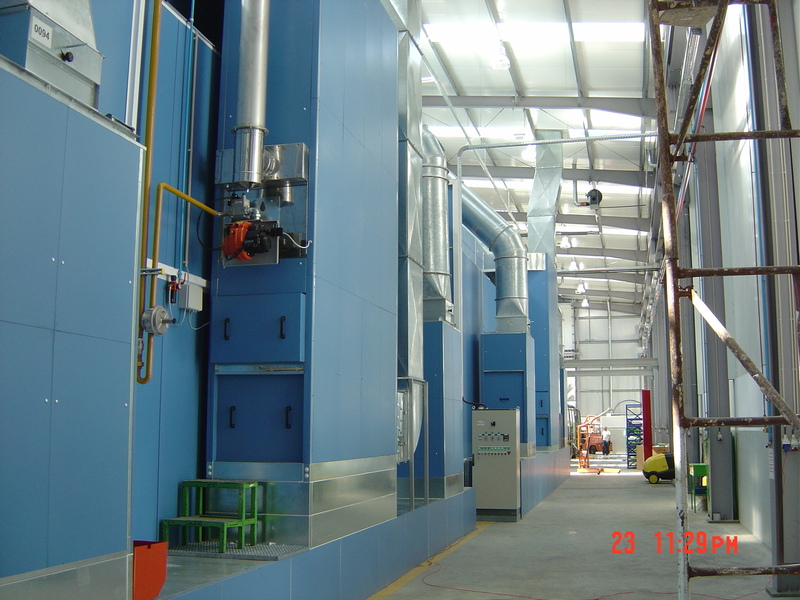 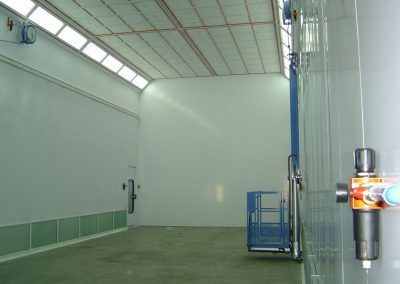 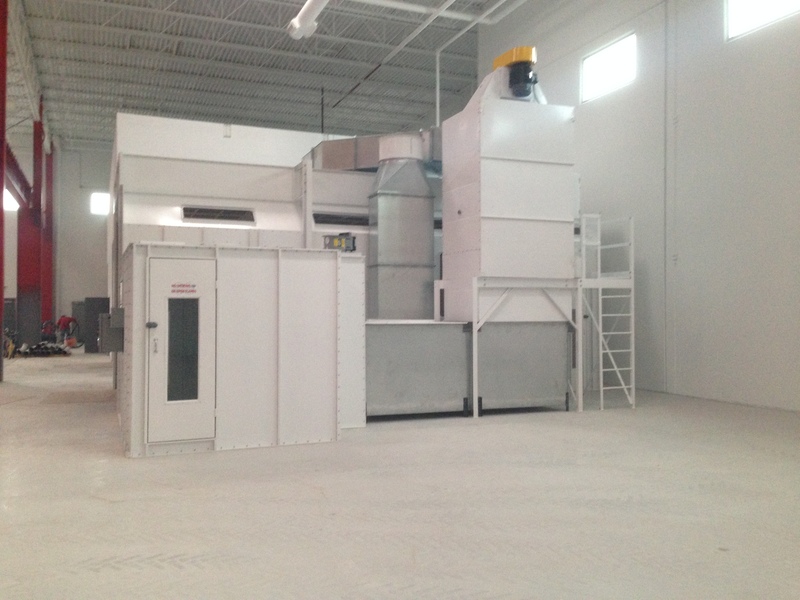 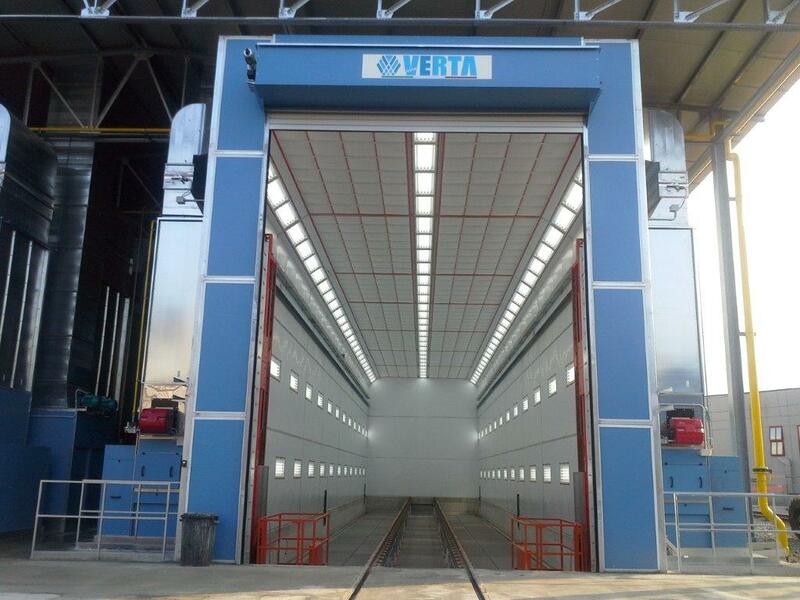 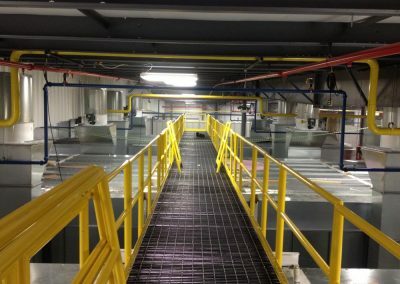 That is why we have our line of large truck and large equipment paint booths. 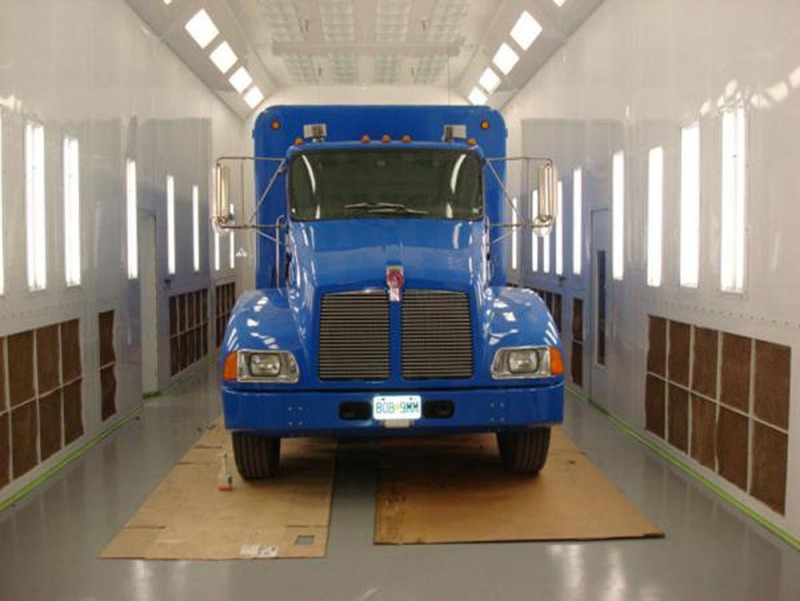 We have you covered form RVs, semi-trucks, and agriculture equipment to trains and planes. 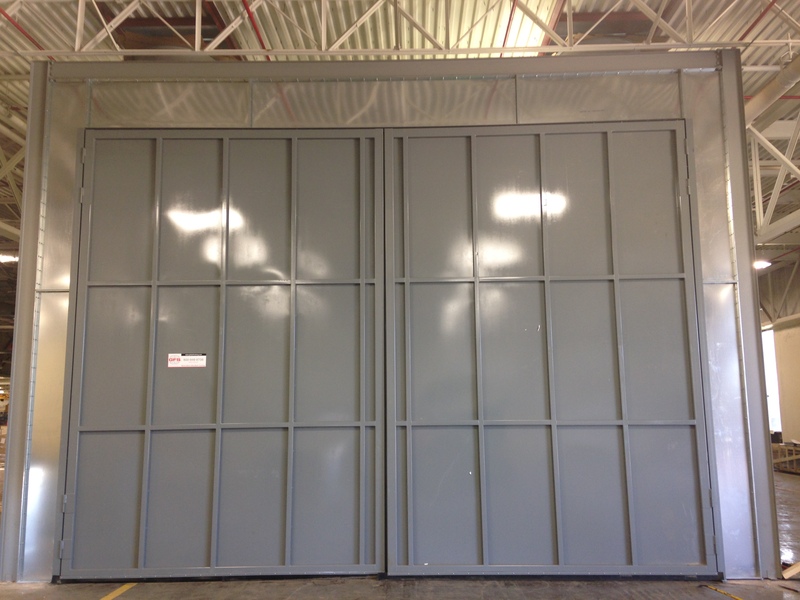 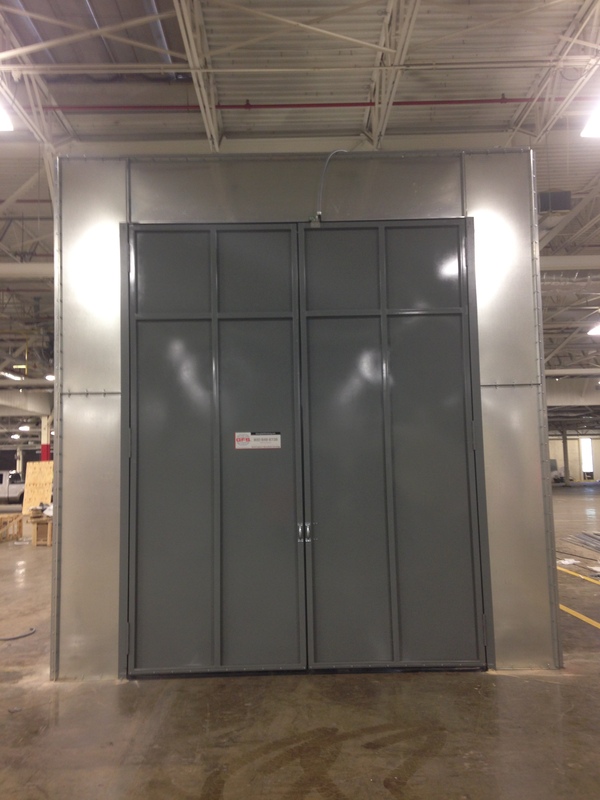 While most of our large equipment booths are custom, we do have a line of standard sizes. 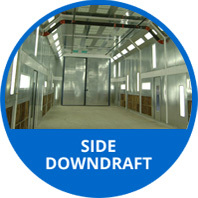 In the tables below you can look at the available standard sizes. 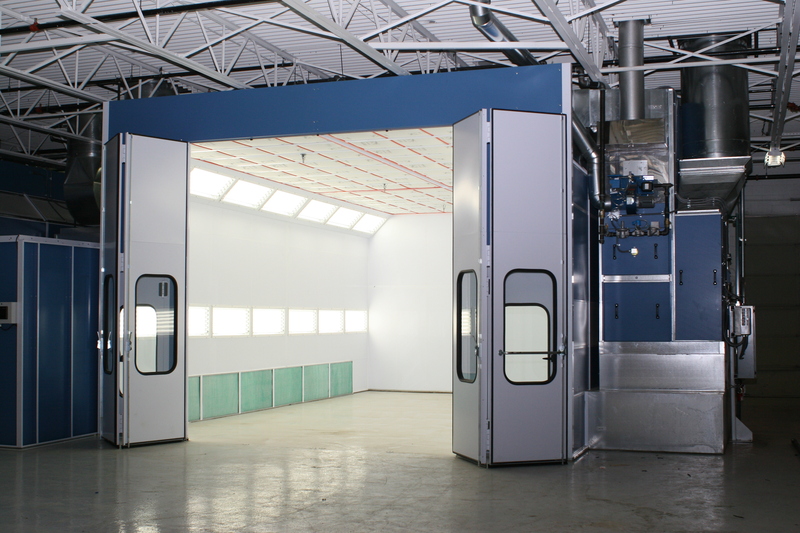 Having built and installed these large booths for more than 20 years we know that we can design and assemble one to meet your specific needs. 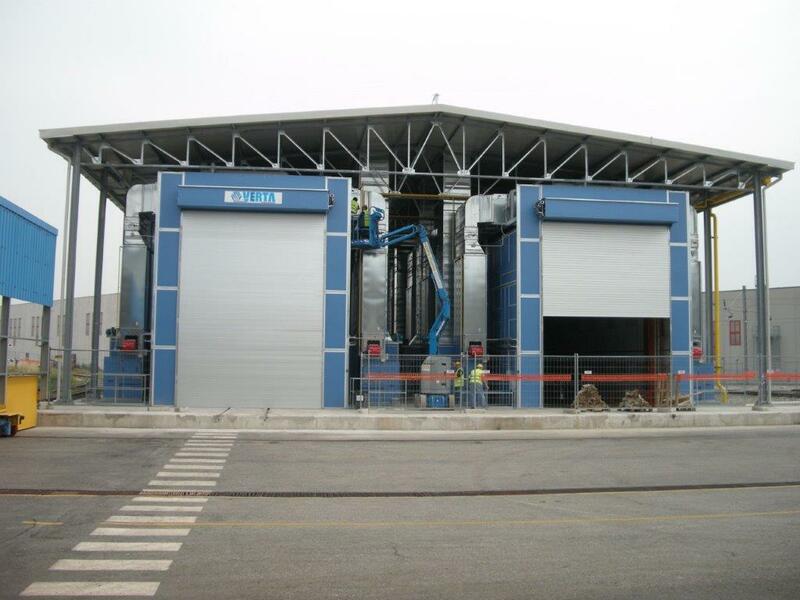 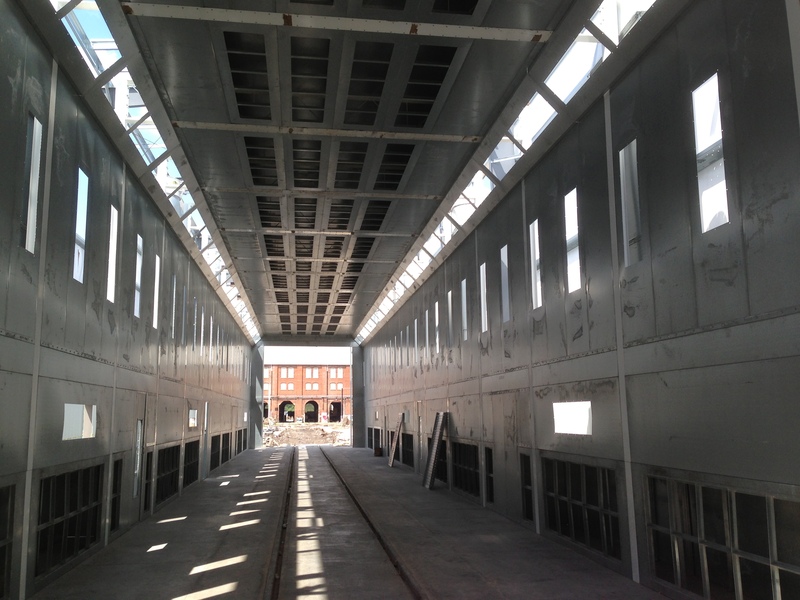 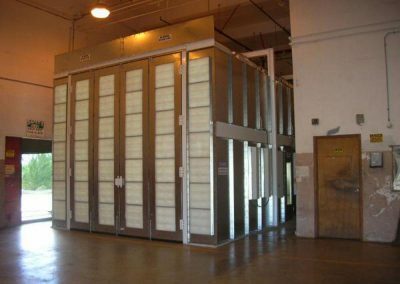 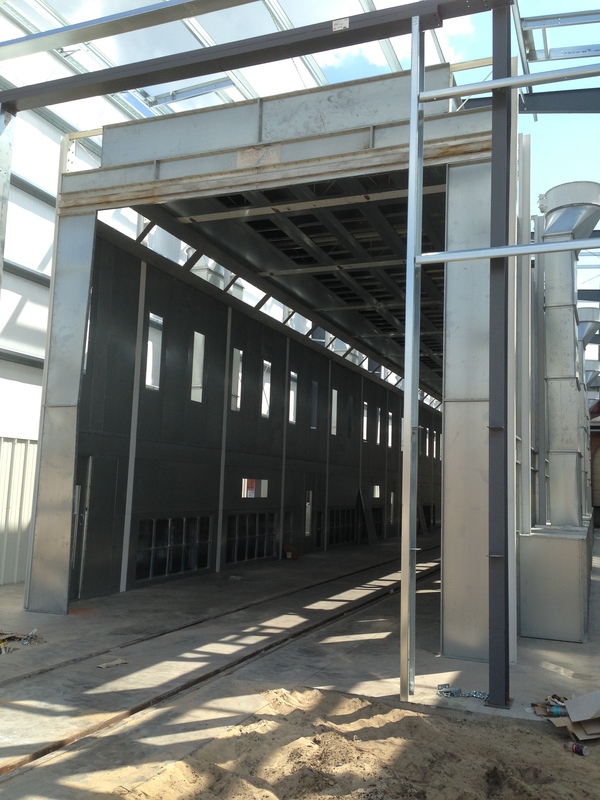 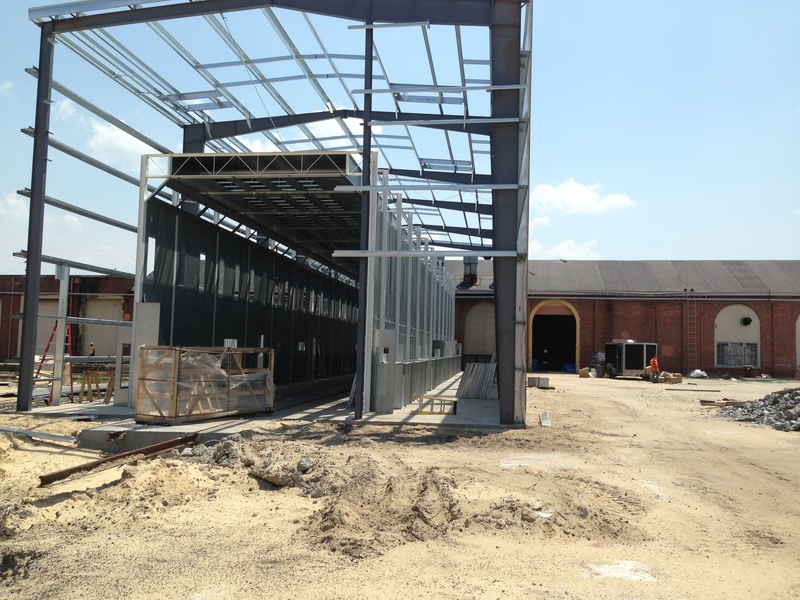 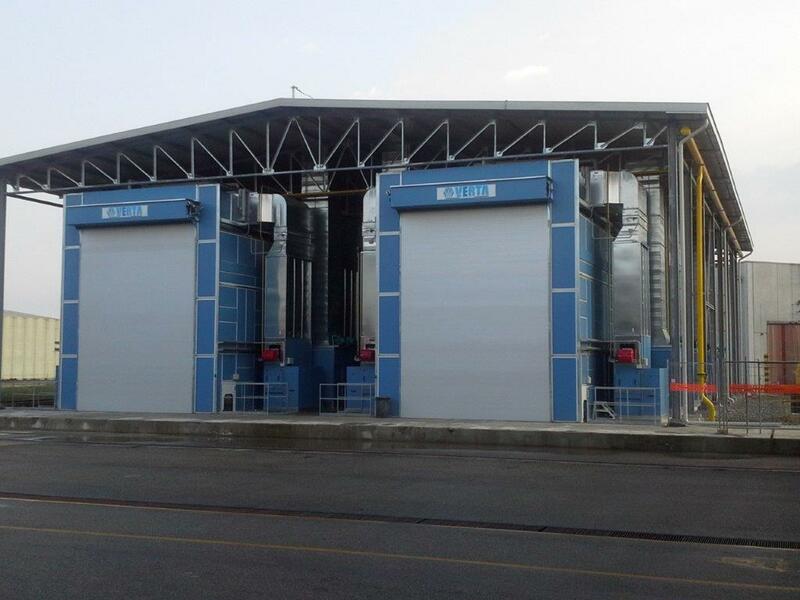 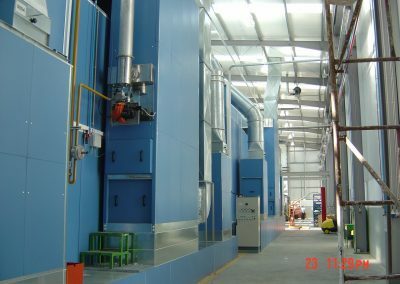 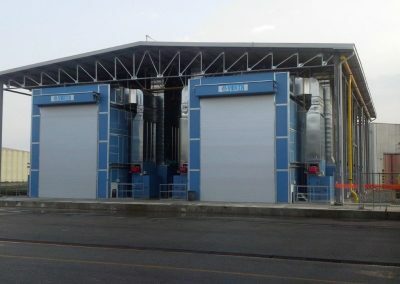 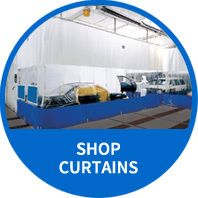 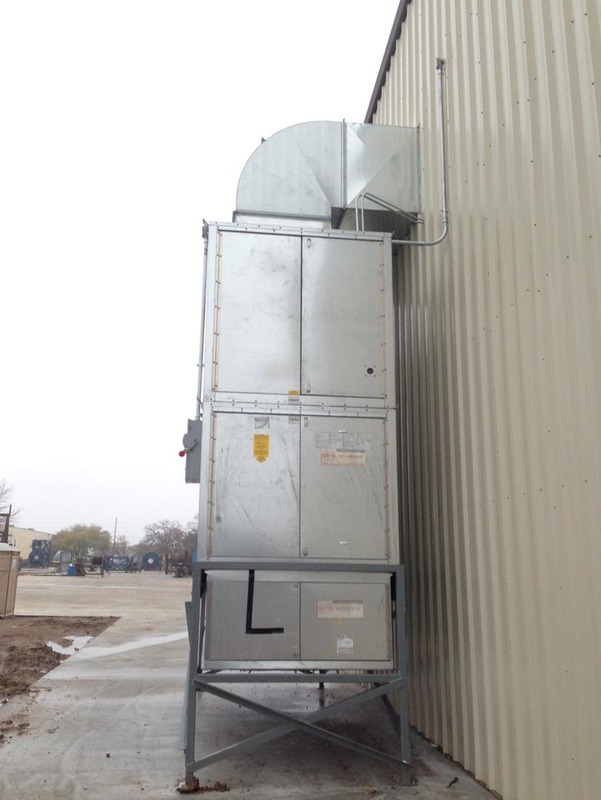 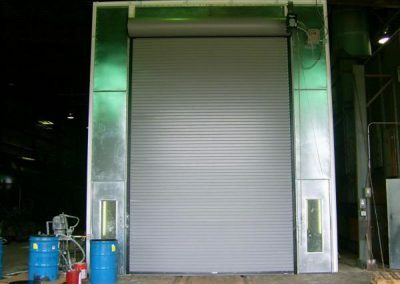 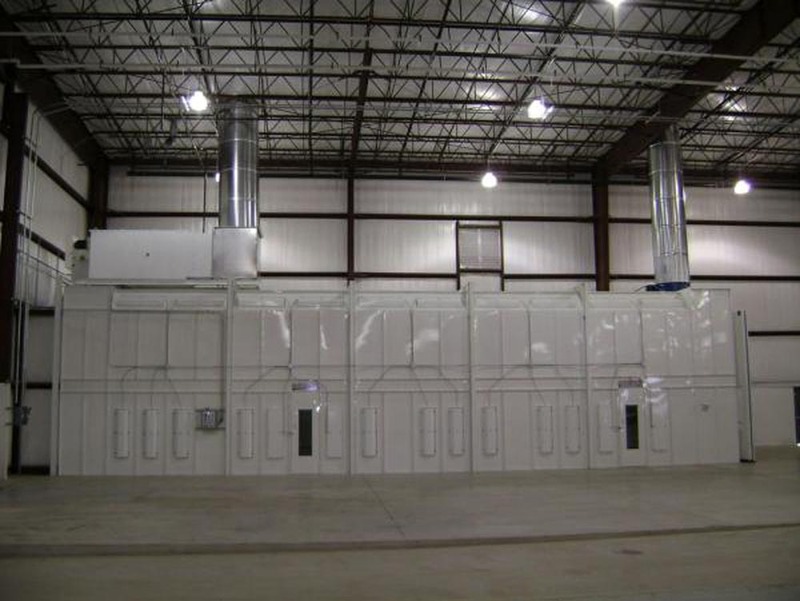 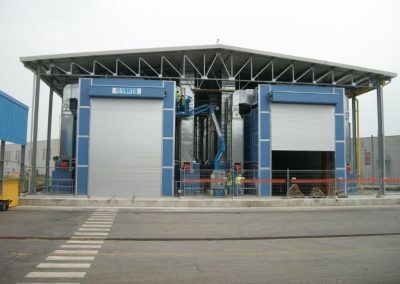 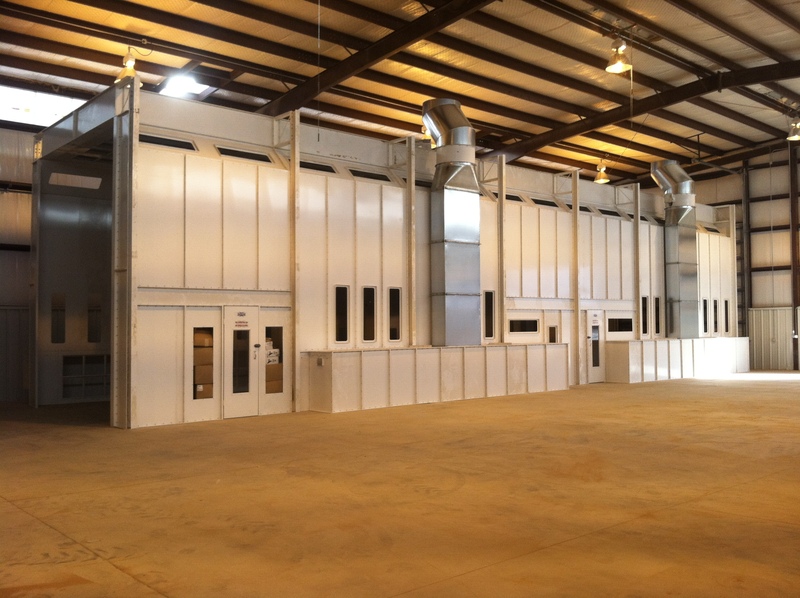 There are several things to consider when selecting a large equipment booth. 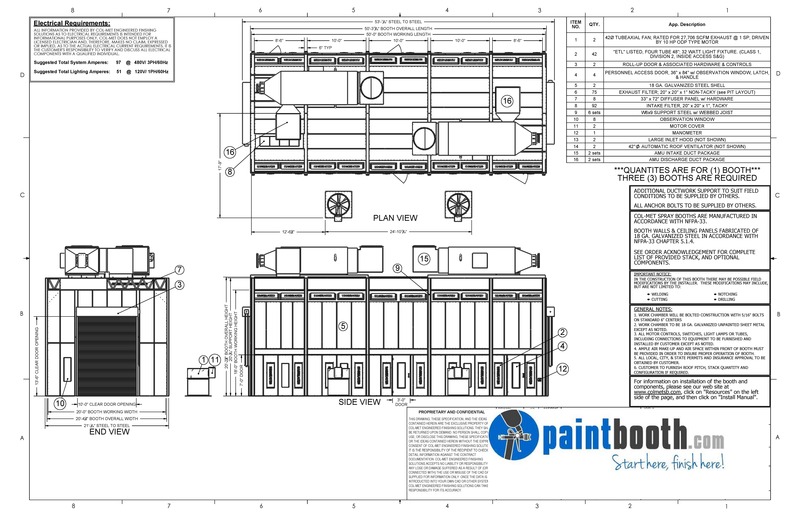 What is the largest item that I plan on painting? 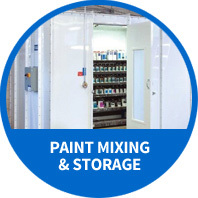 The general rule is to have 3’ of clear space around the items that you are painting. 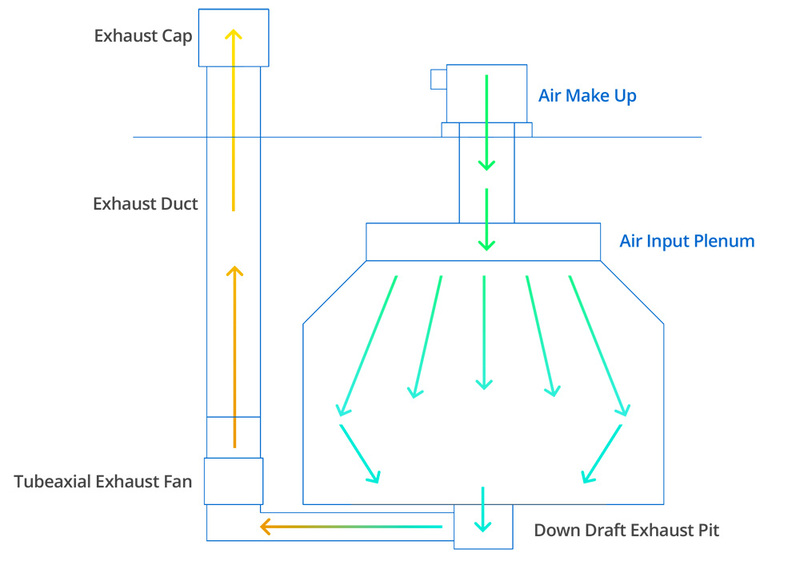 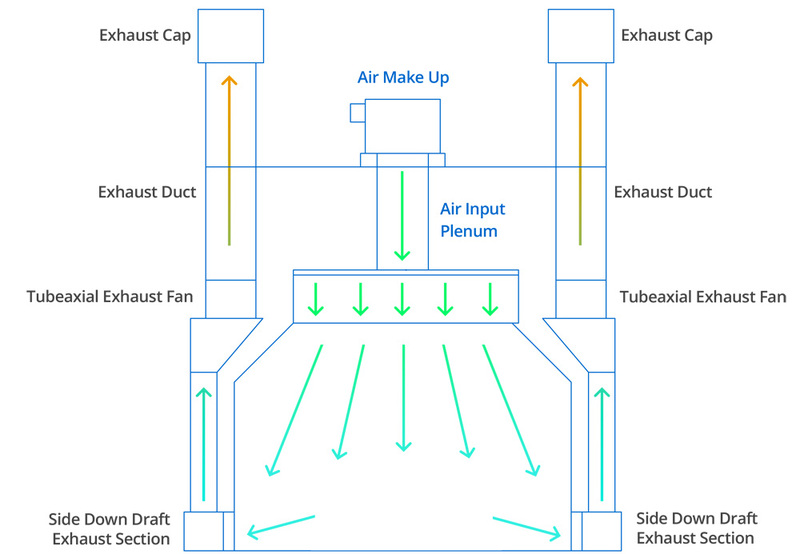 Airflow Style? Which one best suites your needs and is a good fit for your building? 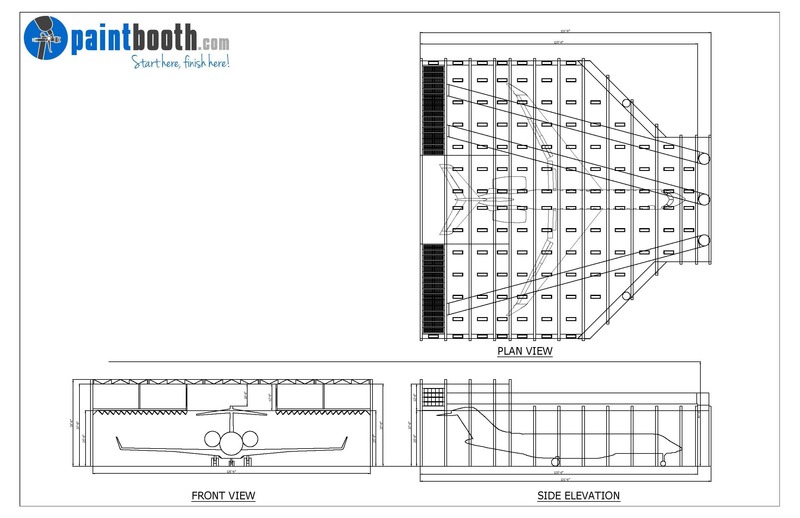 Do you need a drive thru or solid back booth? 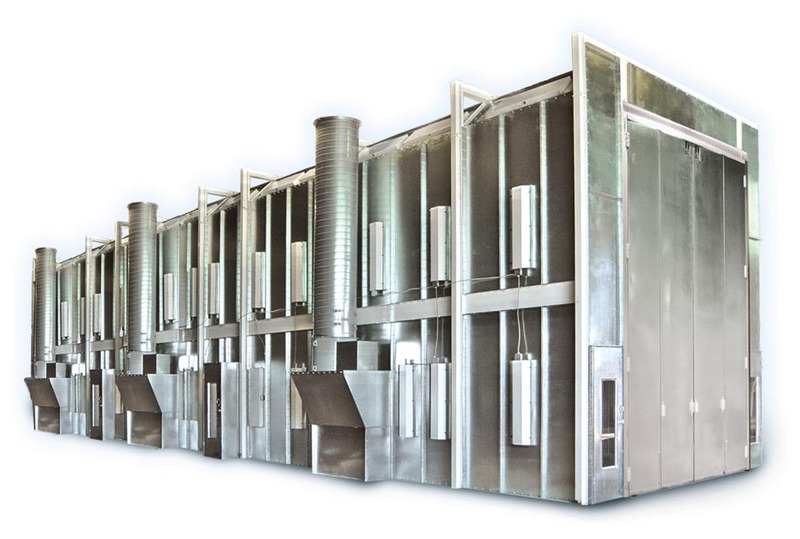 Do you need a heated booth or non-heated booth? 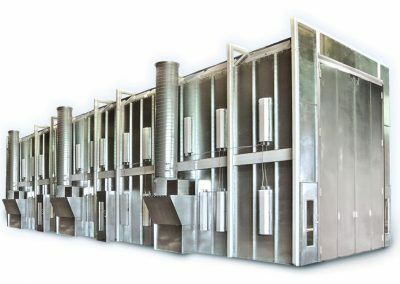 If heated where will the heater be located? 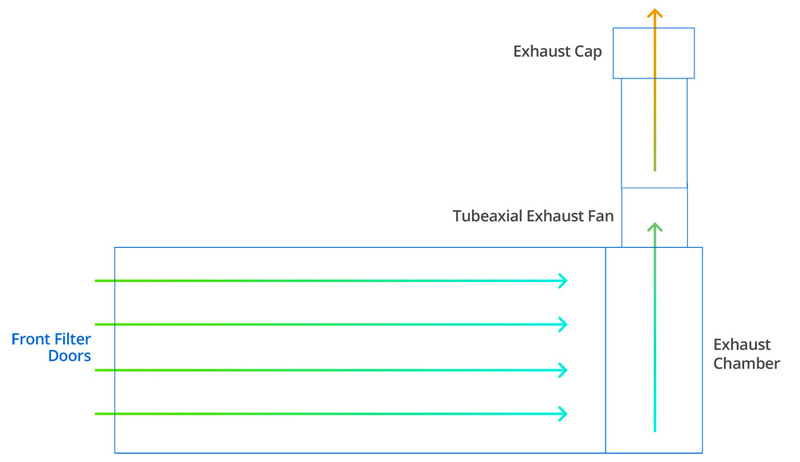 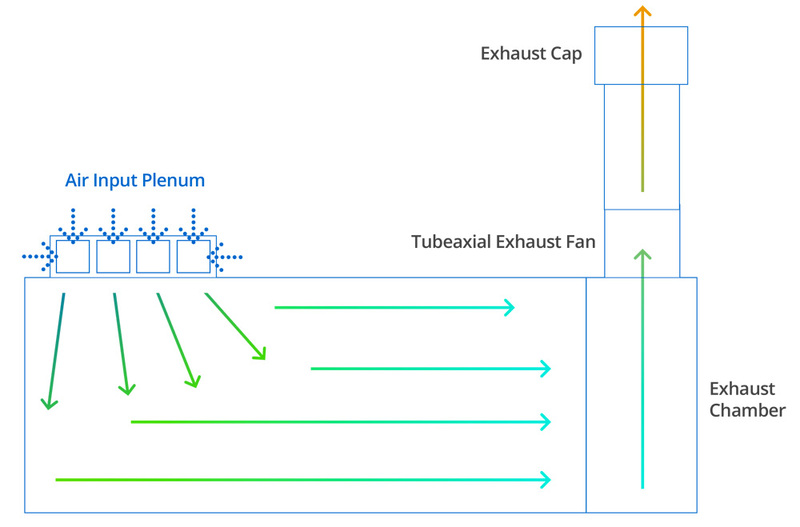 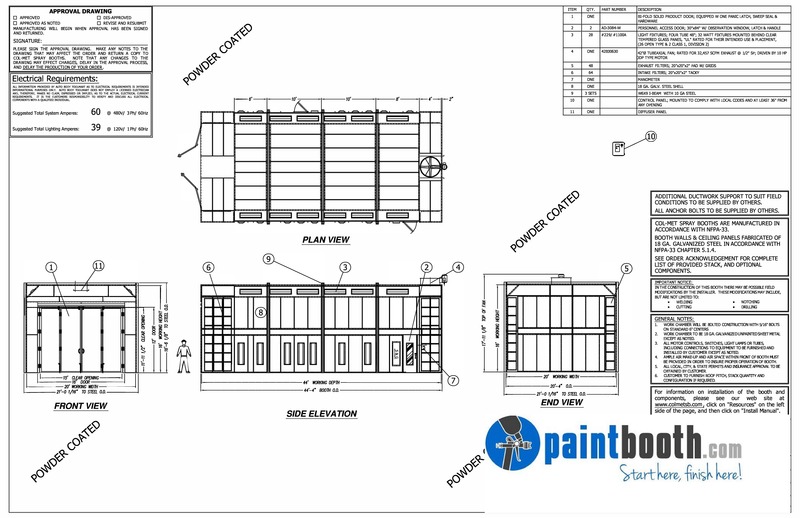 Are you power requirements single phase or three phase? 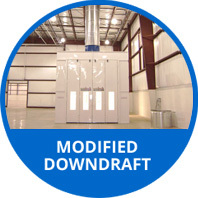 They are available in Cross Draft, Side Down Draft, Modified Down Draft and Full Down Draft styles. 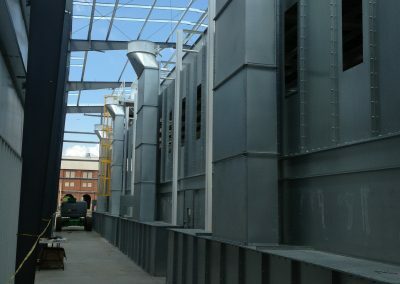 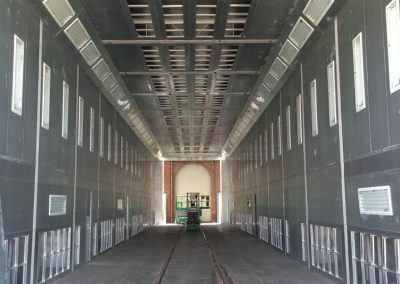 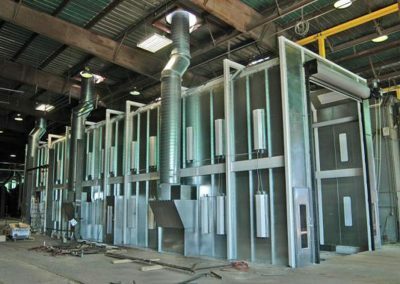 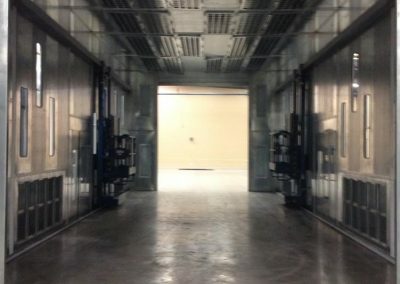 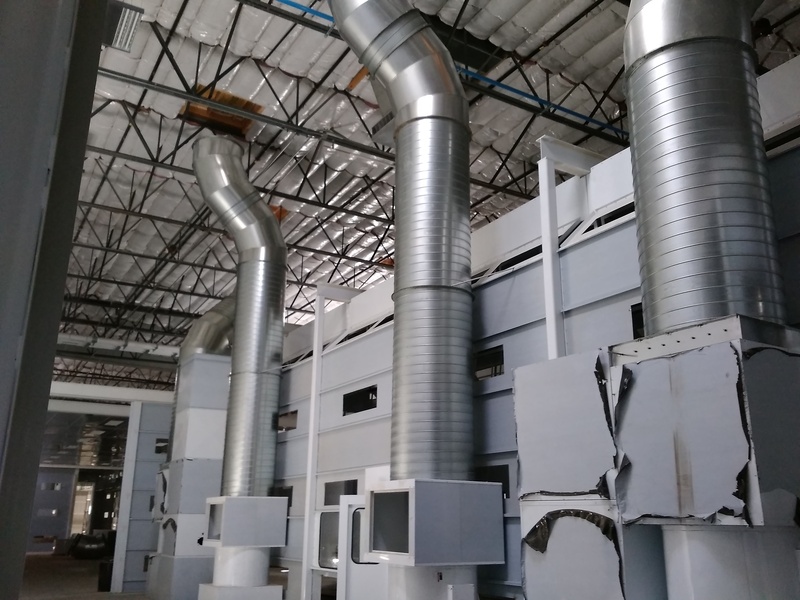 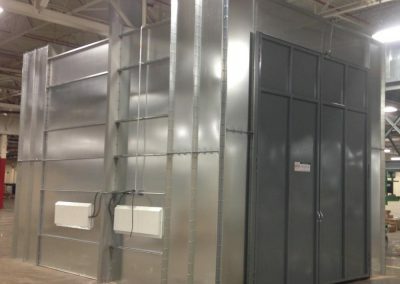 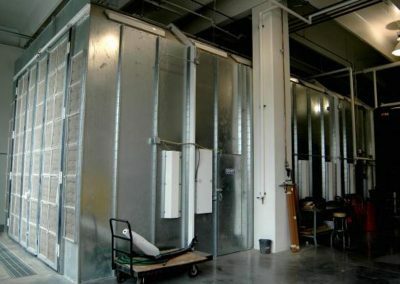 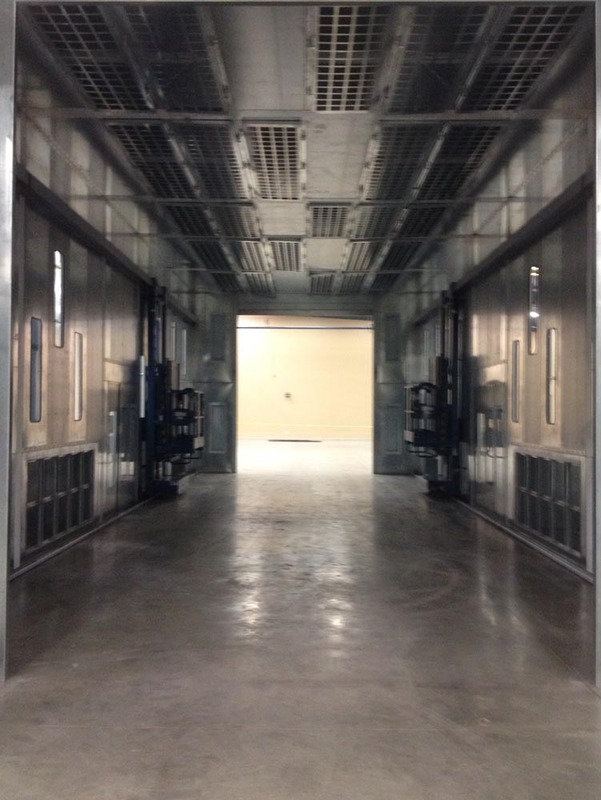 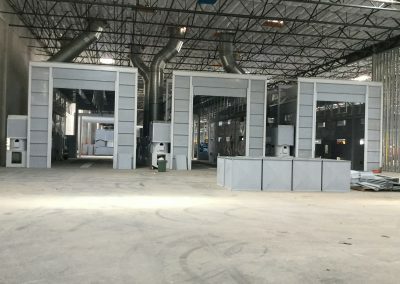 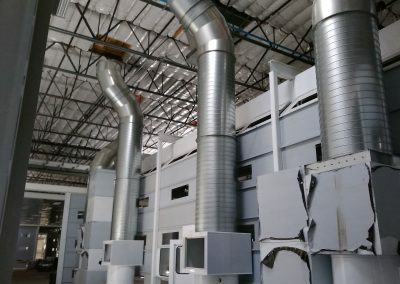 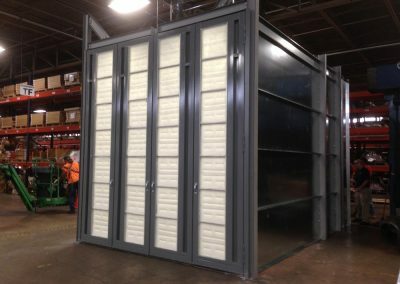 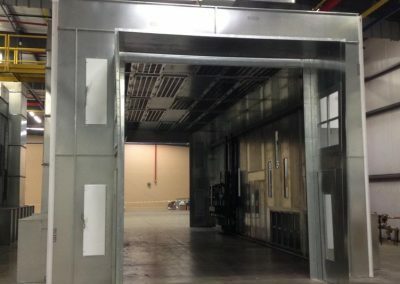 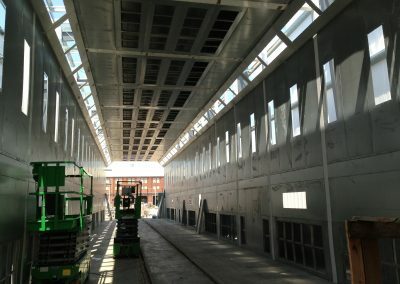 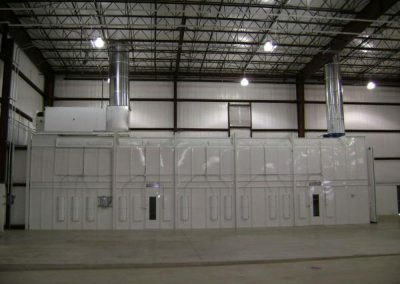 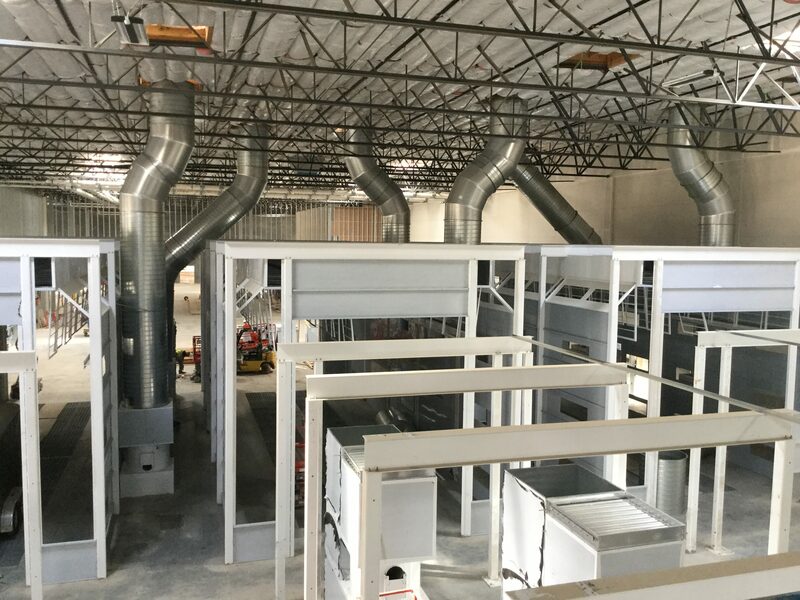 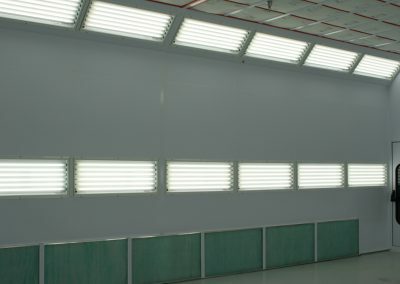 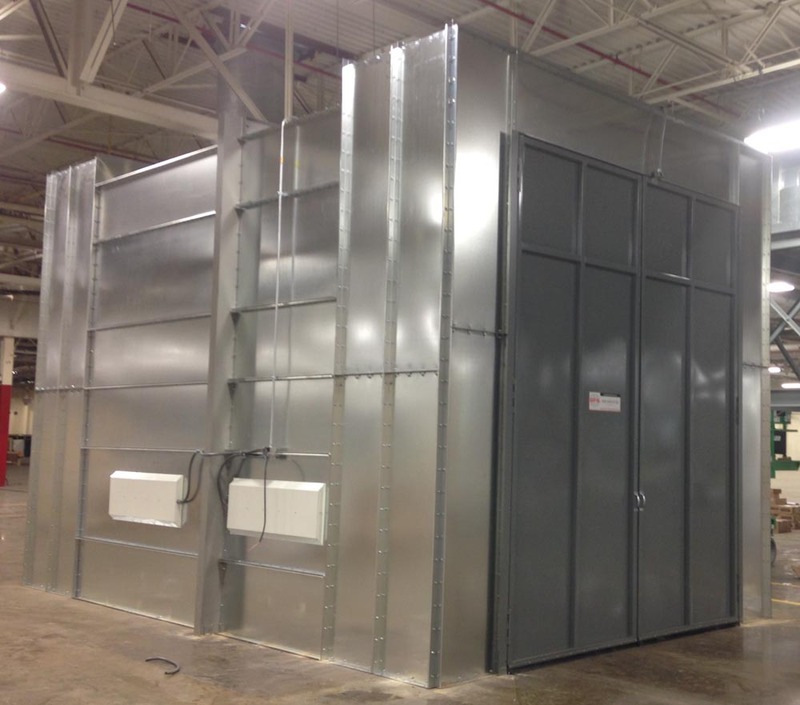 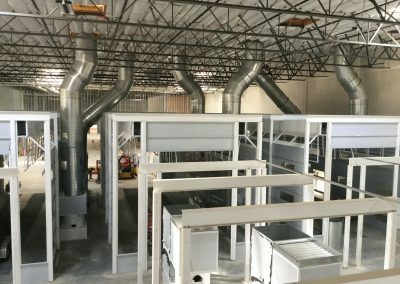 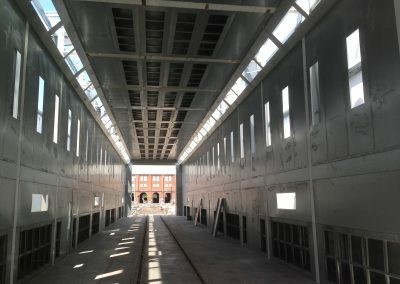 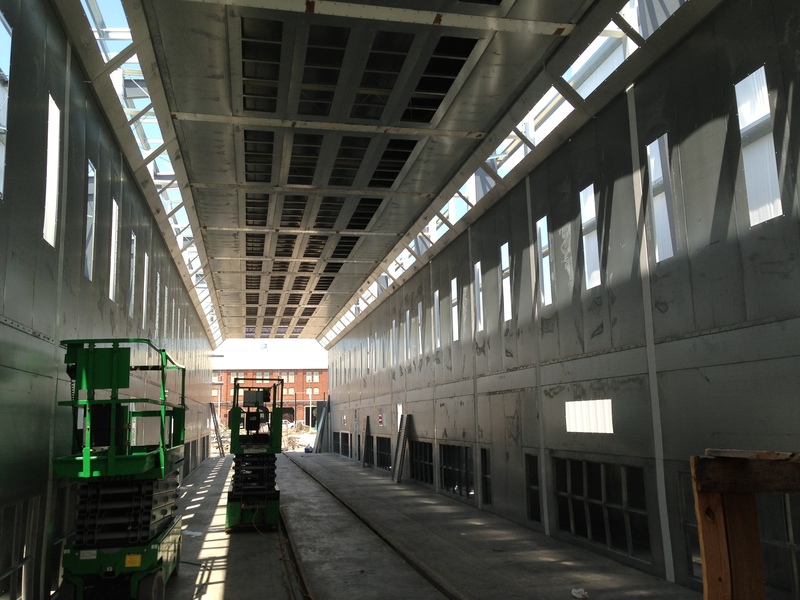 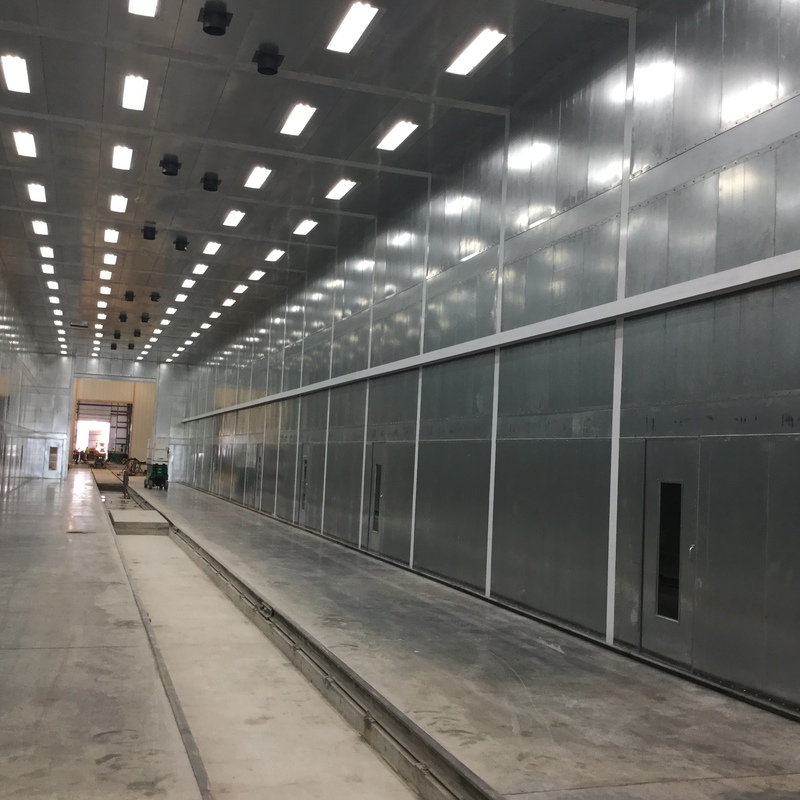 All Booths are shipped complete with everything you need to assemble and start using them, including wall panels, fan, motor, doors, intake and exhaust filters with retainer grids, light fixtures and tubes, controls, assembly hardware and an installation drawings-permit package. 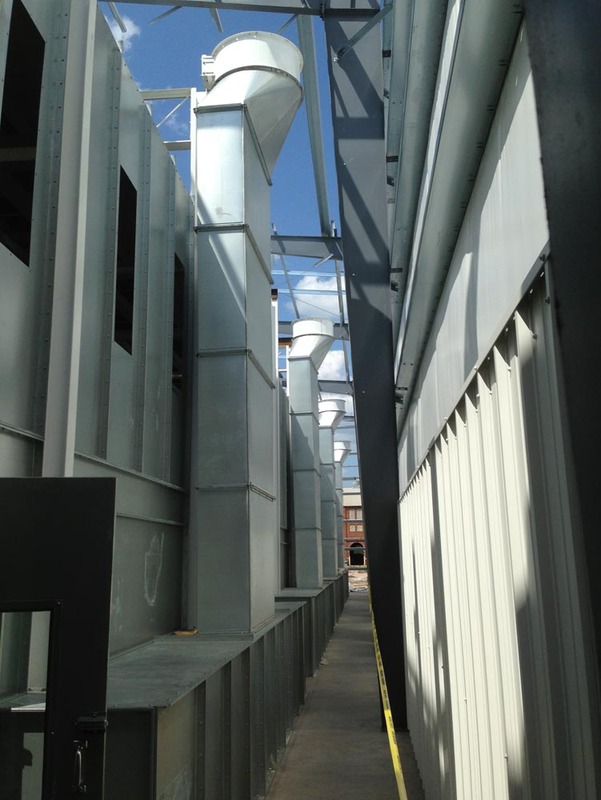 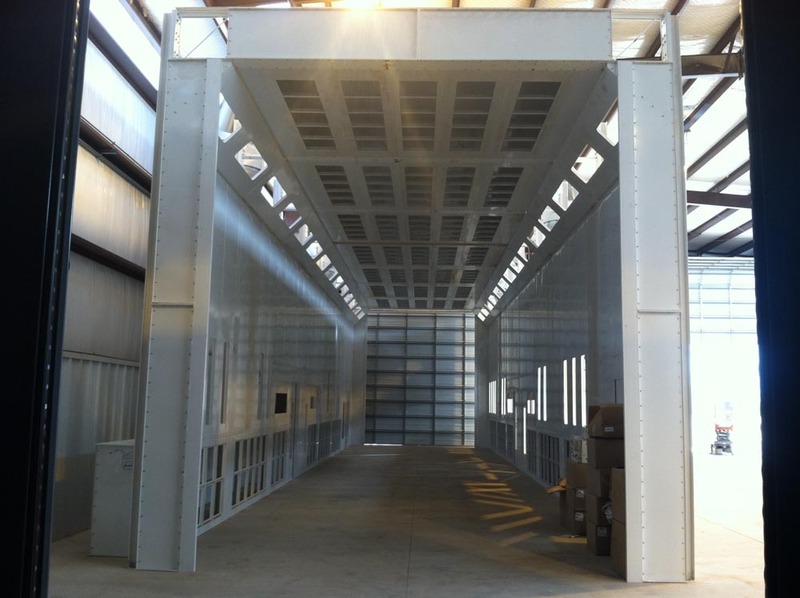 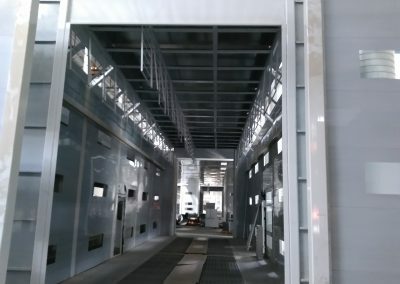 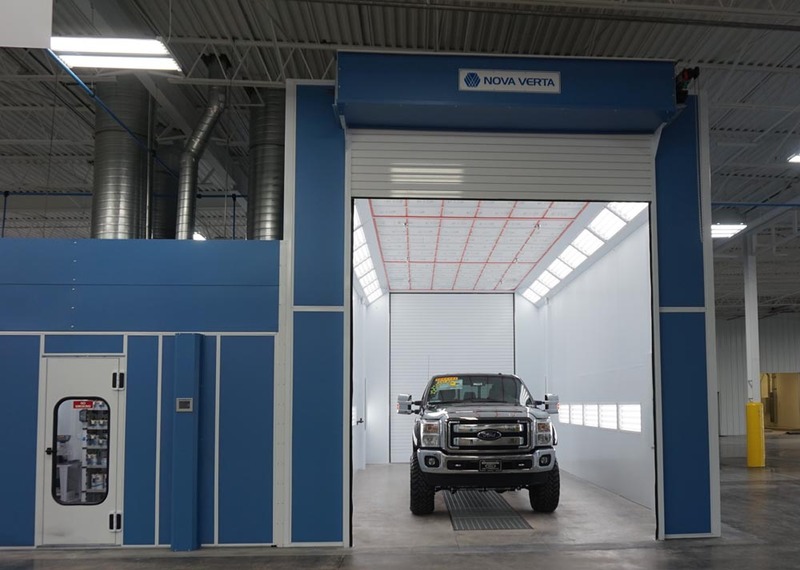 Our truck and large equipment booths are constructed and rigidly reinforced with single-skin, 18-gauge, G-90 galvanized steel. 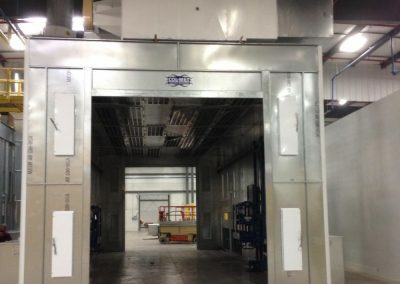 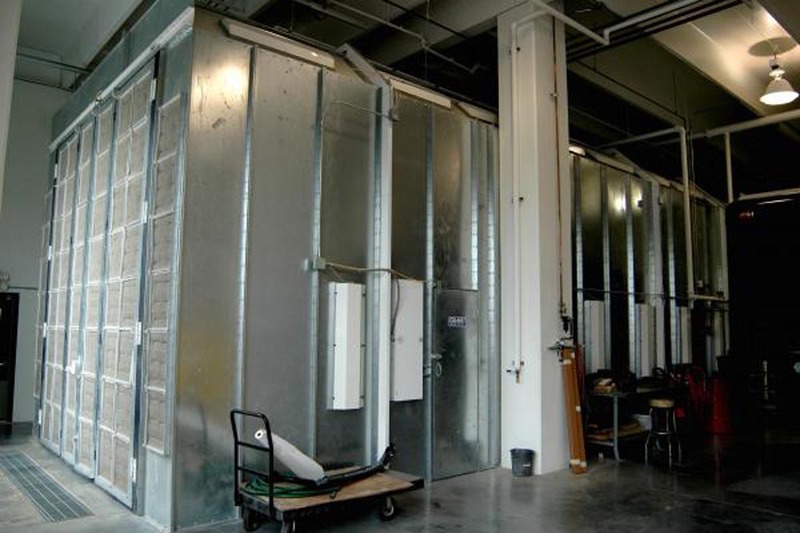 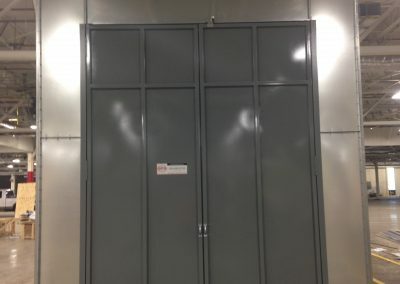 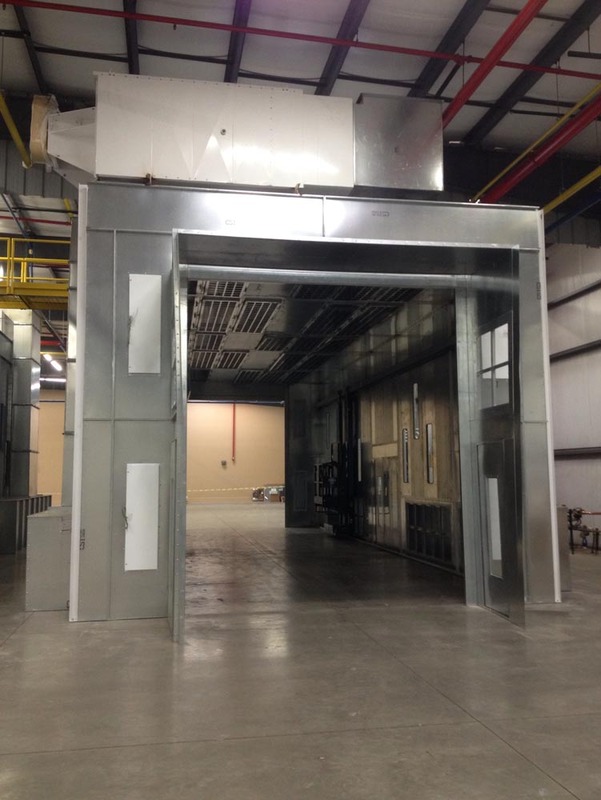 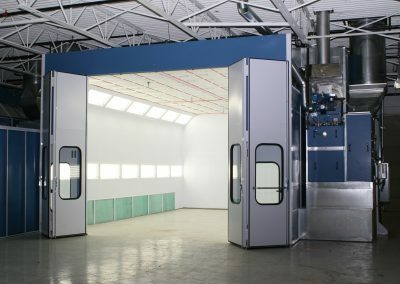 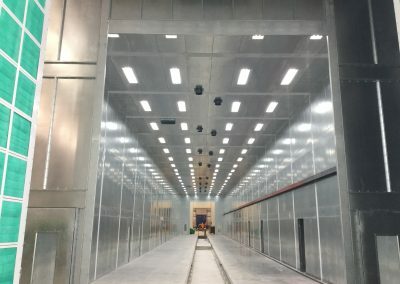 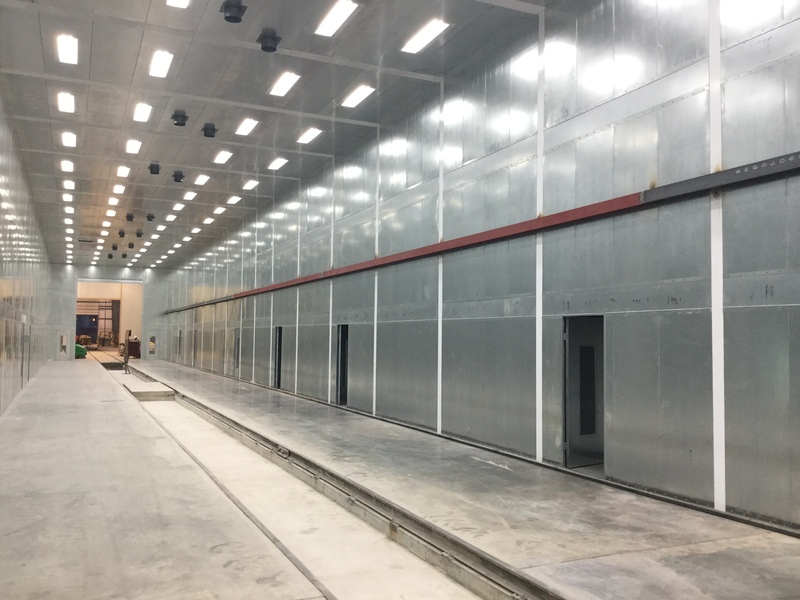 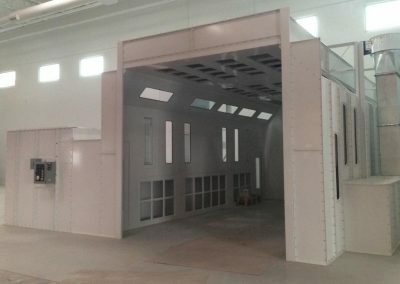 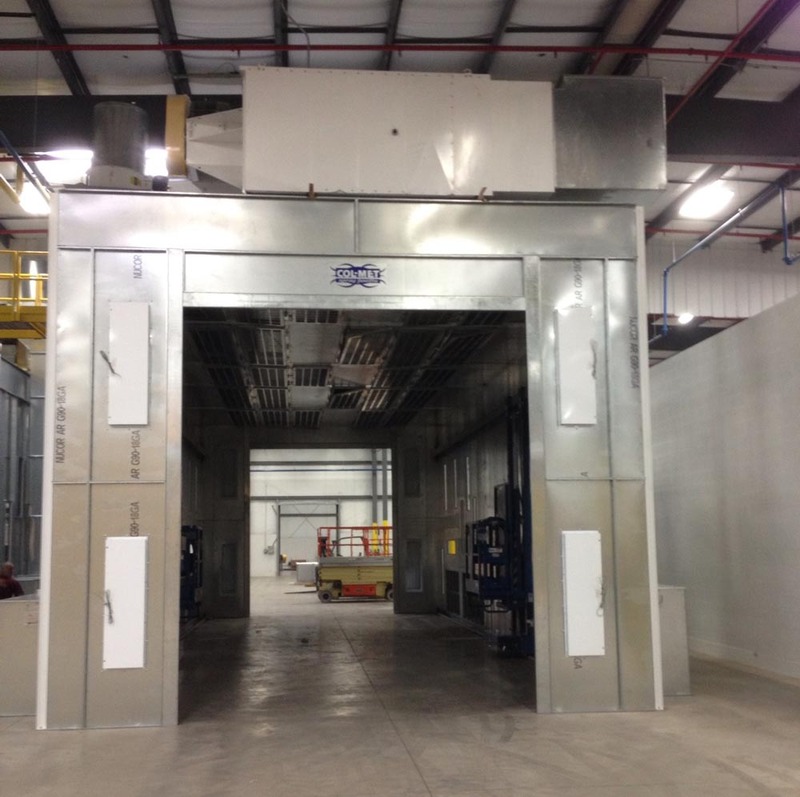 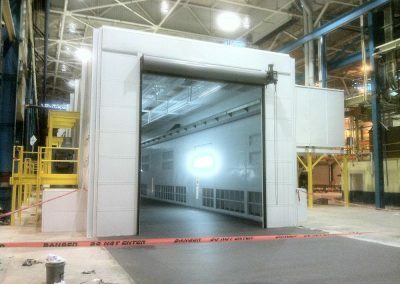 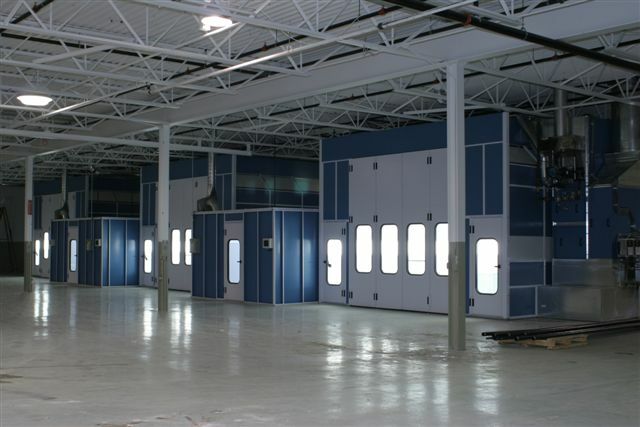 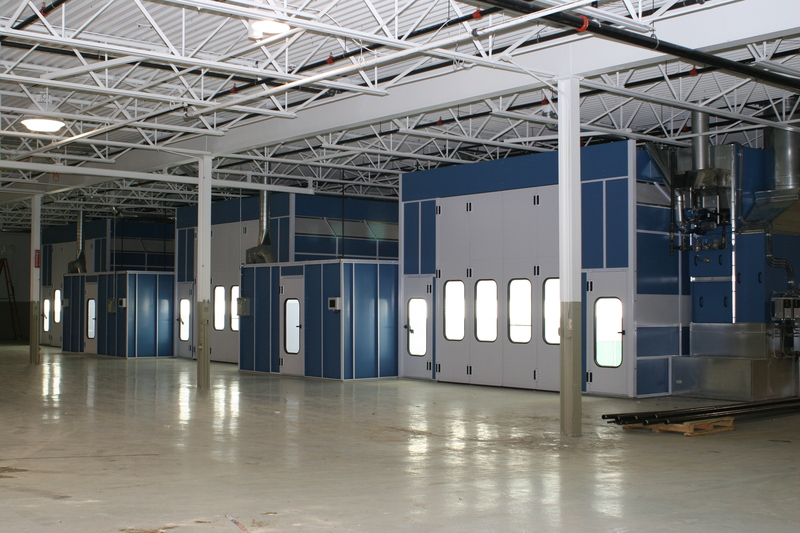 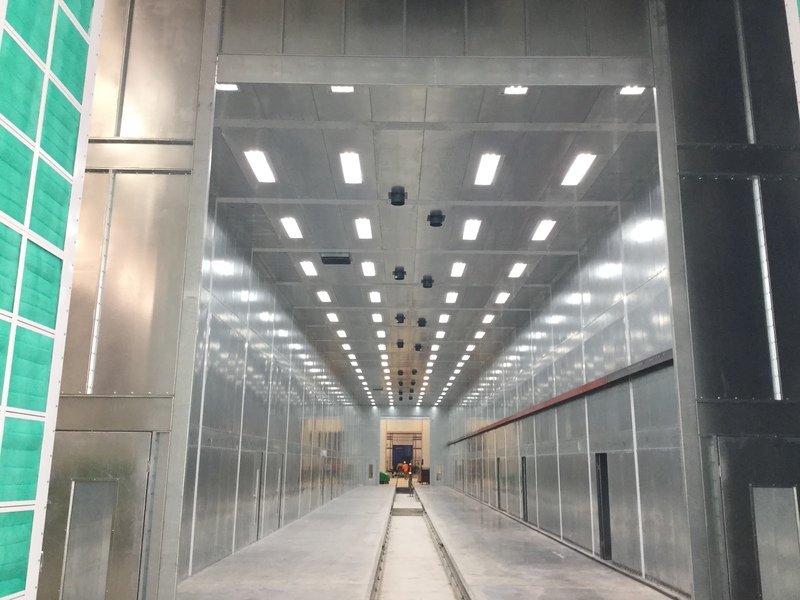 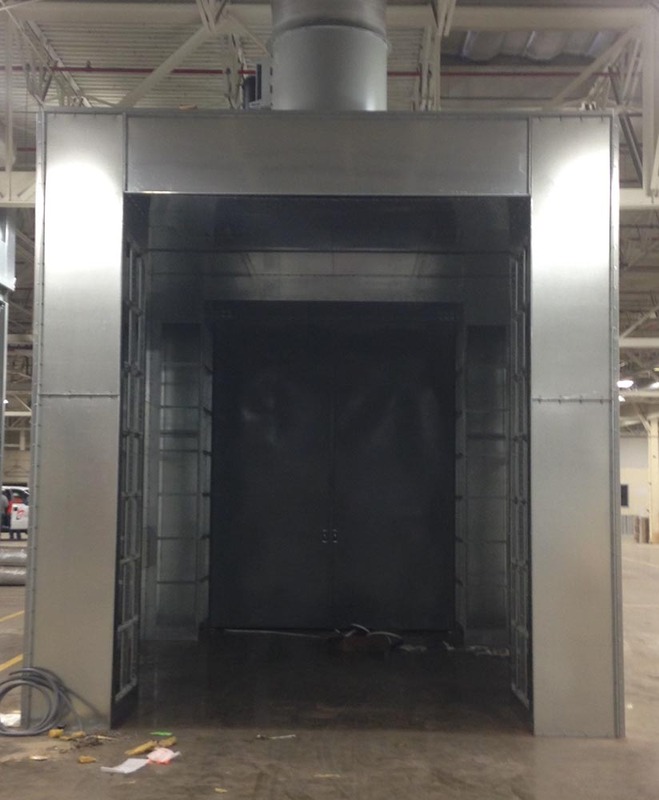 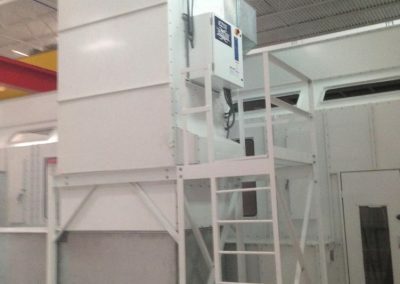 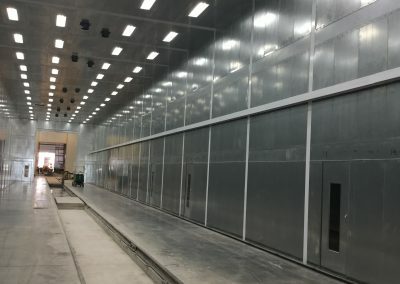 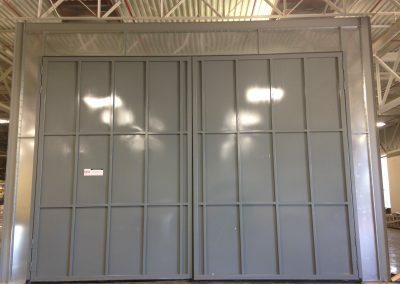 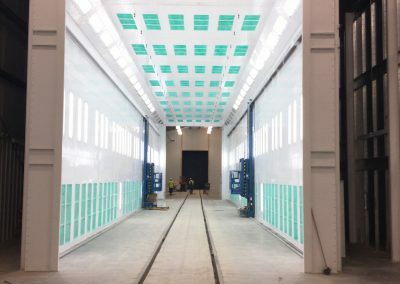 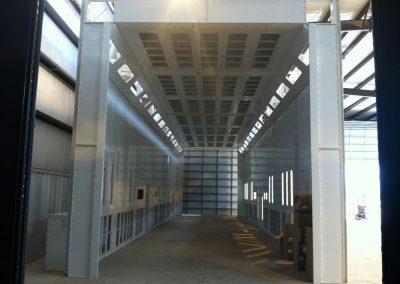 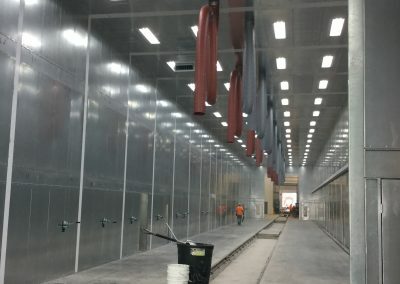 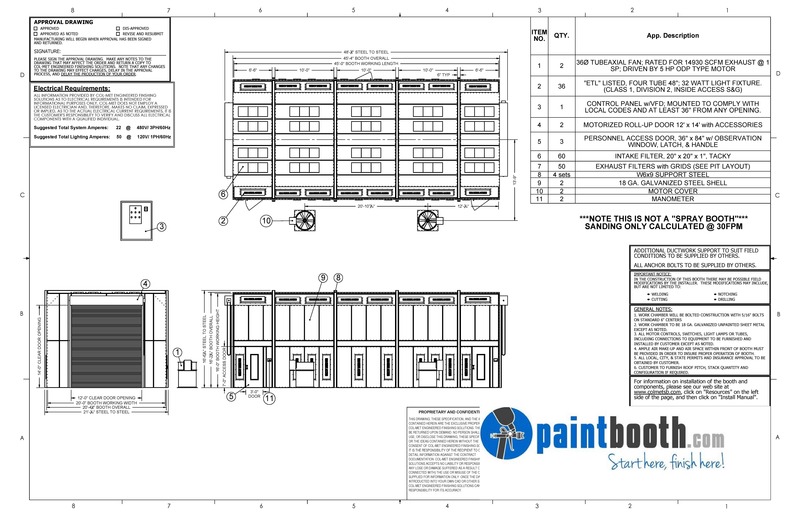 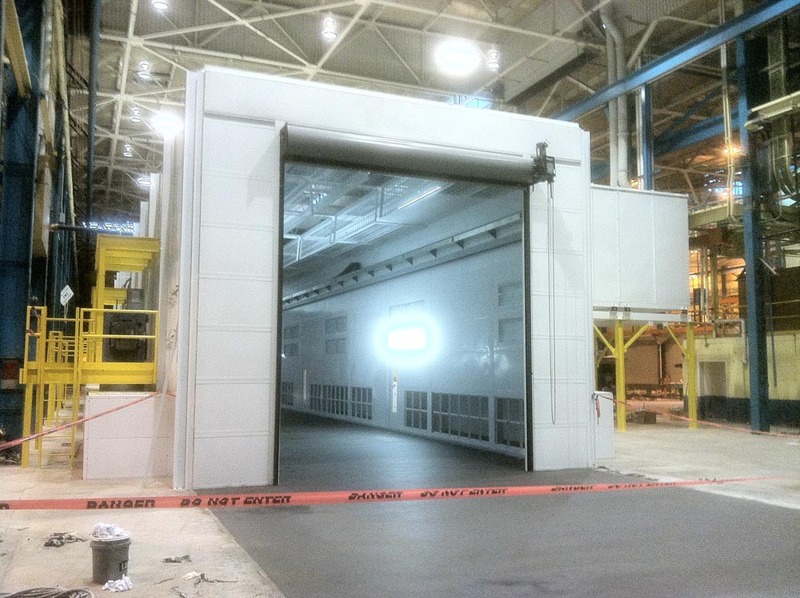 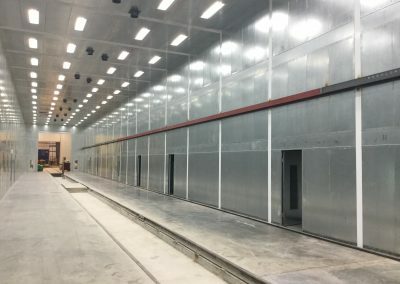 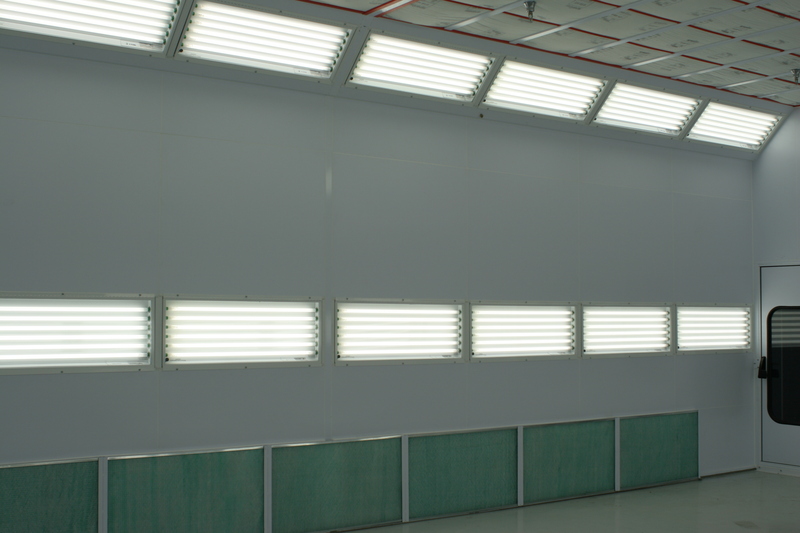 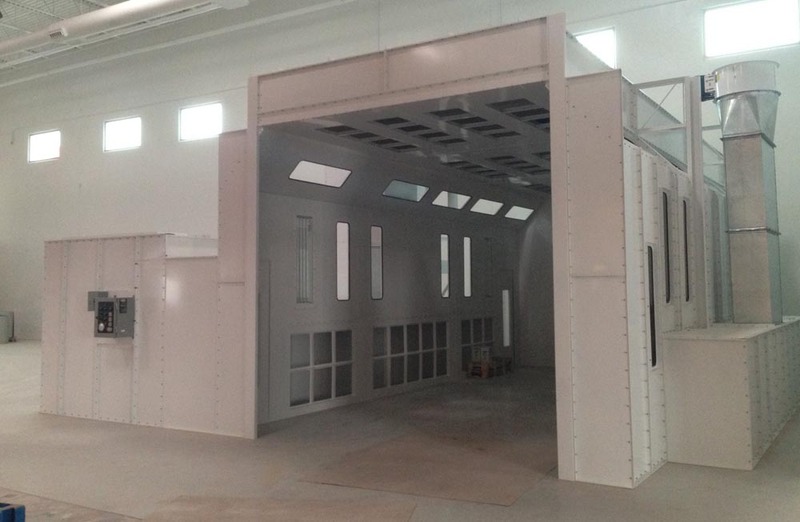 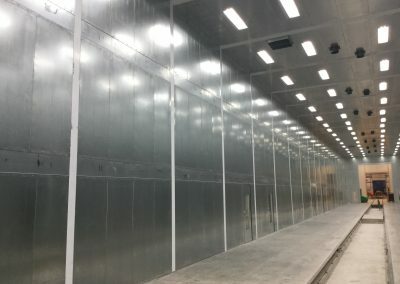 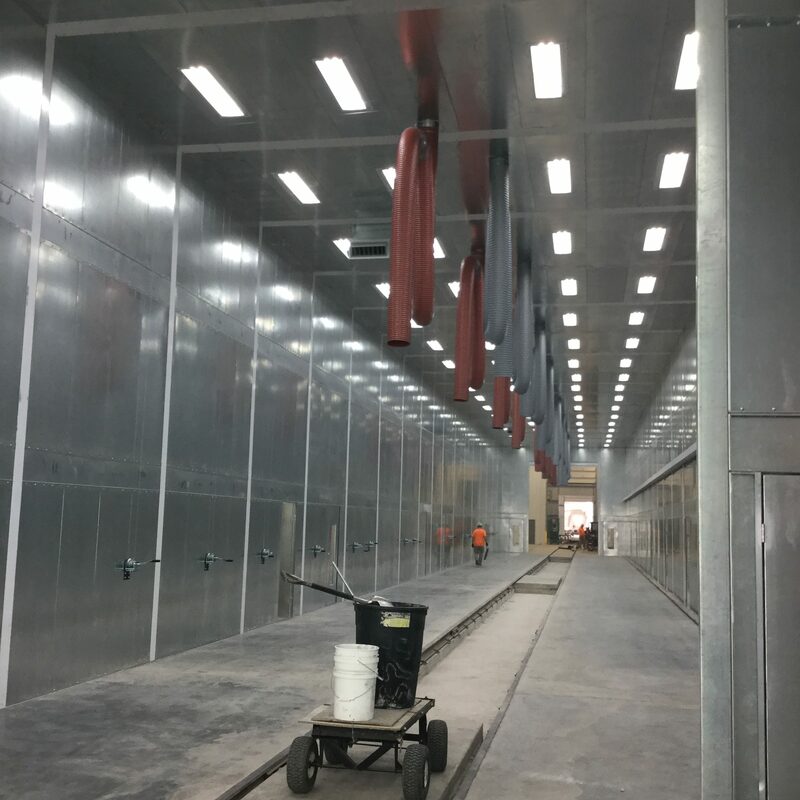 Single-skin booths are pre-punched booth panels with easy nut-and-bolt assembly that take the guesswork out of installing a large paint booth while providing superior structural integrity. Our truck and large equipment booths are constructed and rigidly reinforced with single-skin, 18-gauge, G-90 galvanized steel. 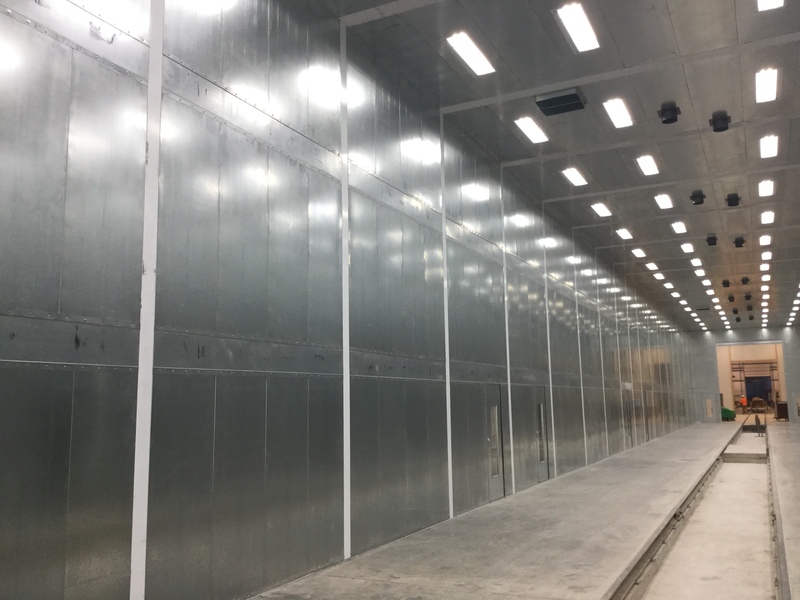 Single-skin booths are pre-punched booth panels with easy nut-and-bolt assembly that take the guesswork out of installing a large paint booth while providing superior structural integrity. 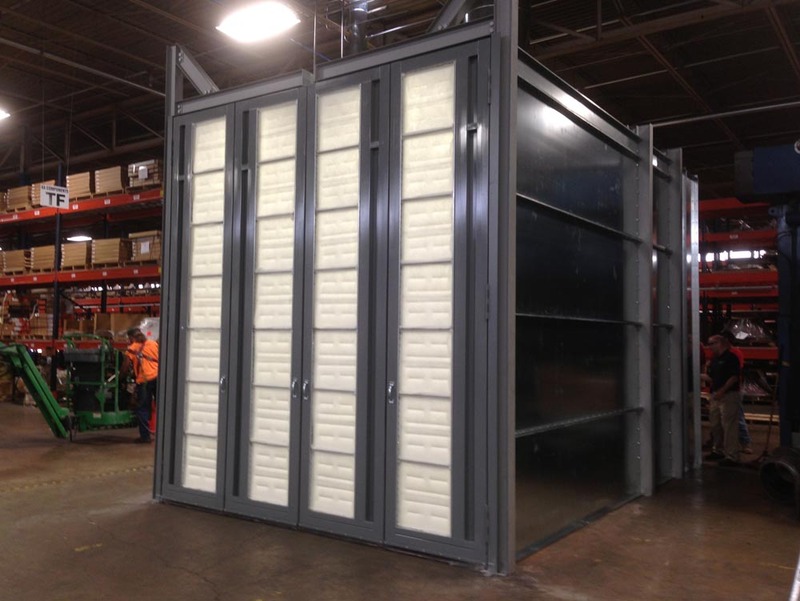 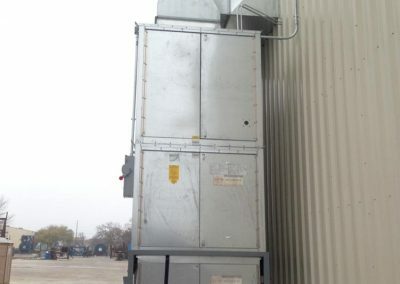 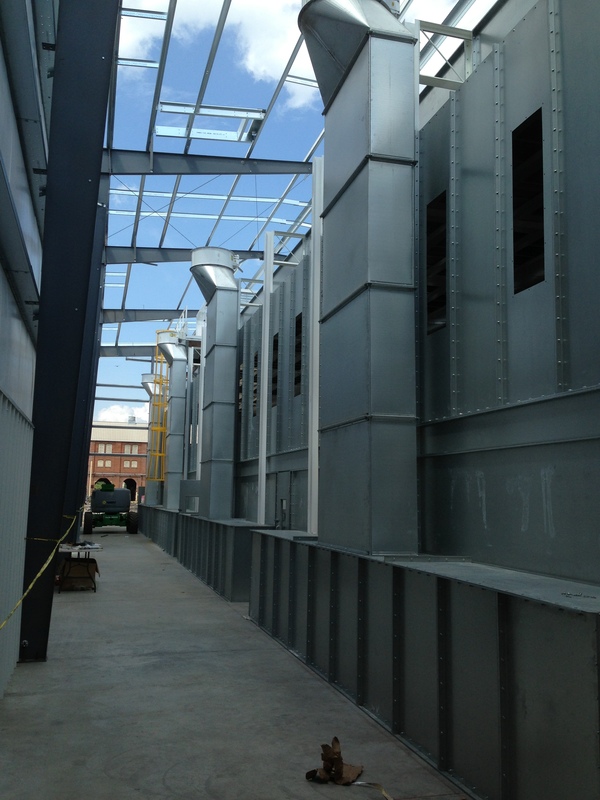 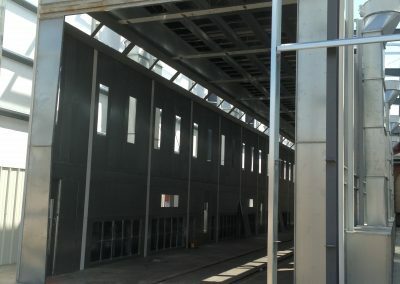 Double insulated wall panels are an option. 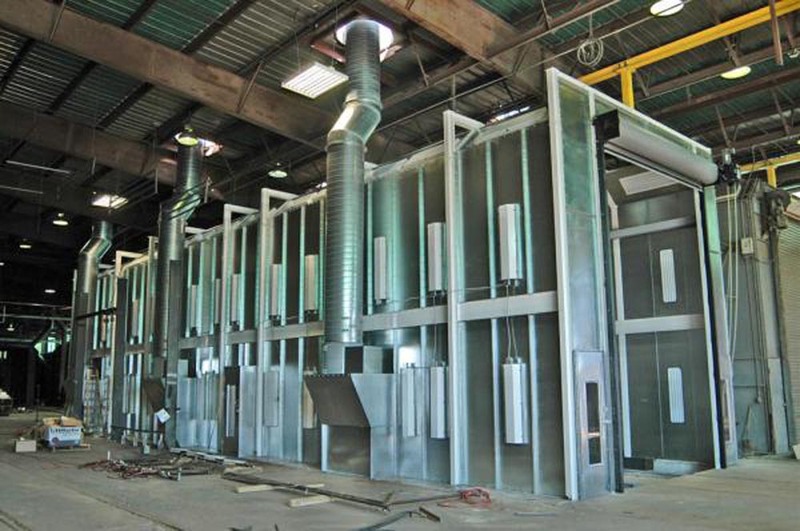 They are constructed of two layers of 20-gauge steel. 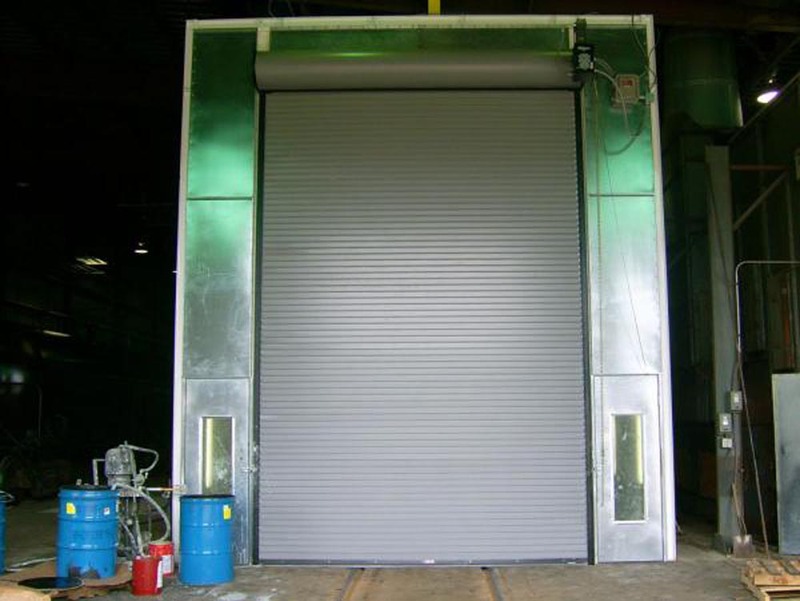 And utilize an H-channel type structure in between the panels or a tongue-groove system. 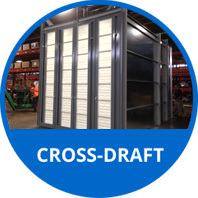 This helps create an airtight seal in the cabin construction without exposed lips or panel ledges that tend to accumulate dirt and dust. 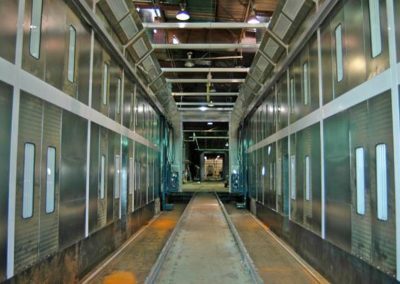 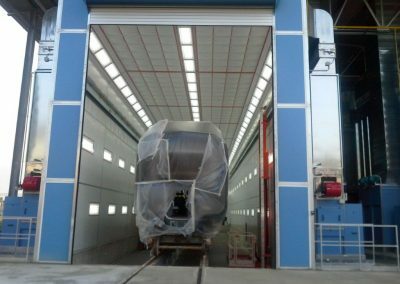 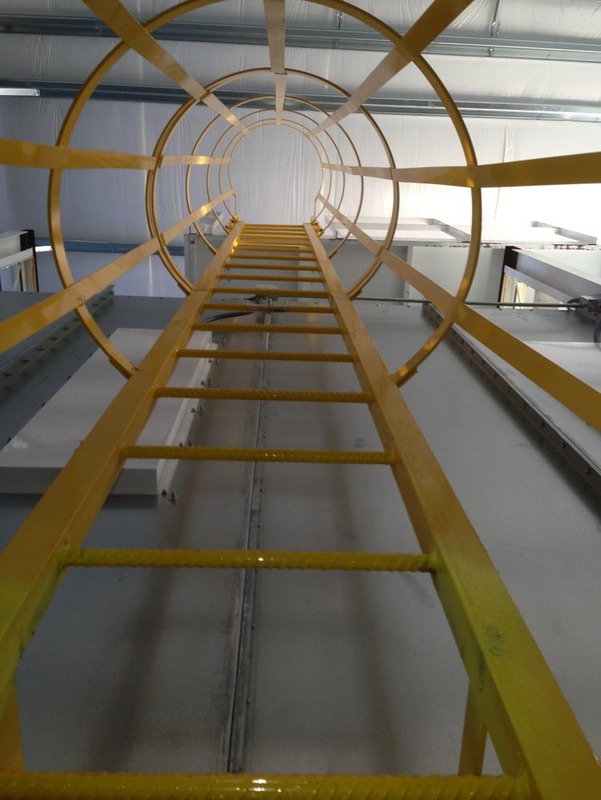 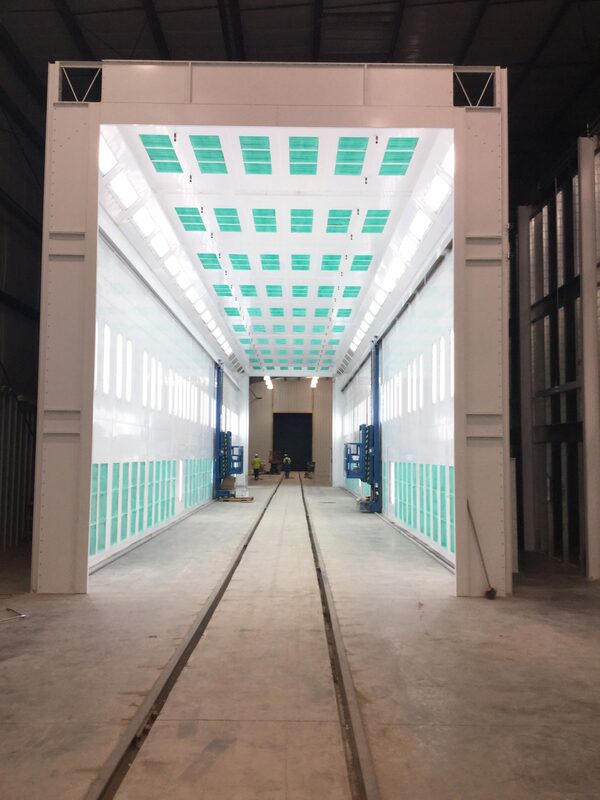 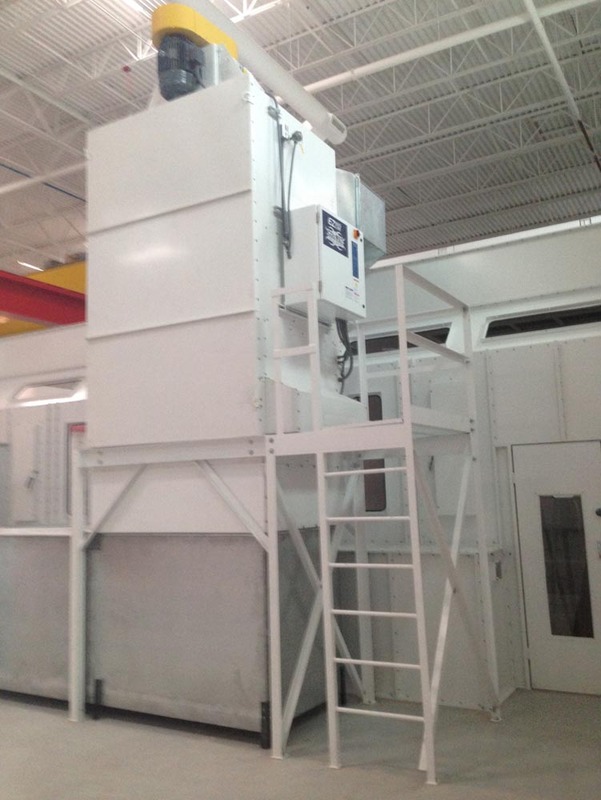 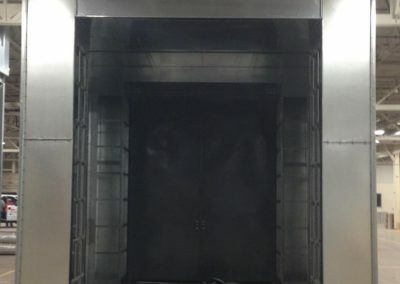 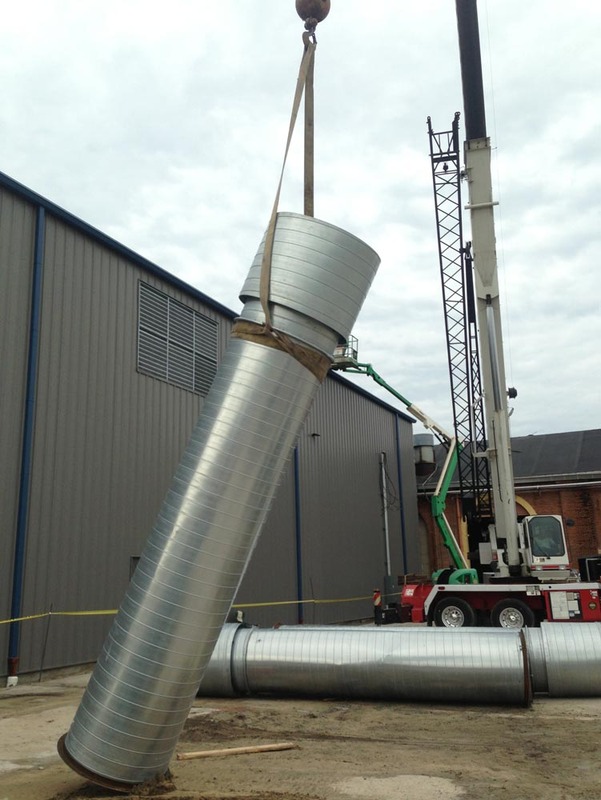 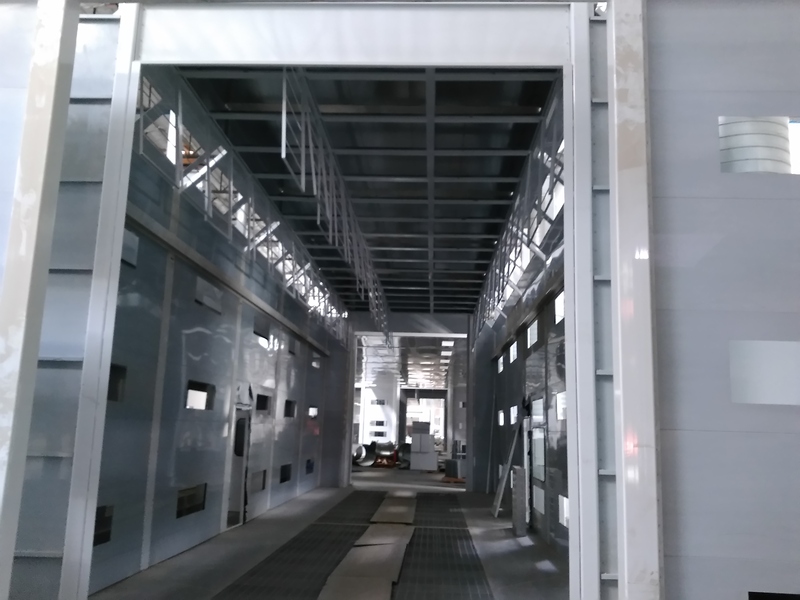 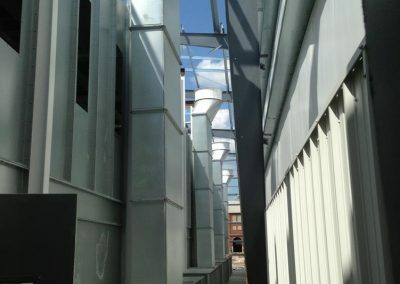 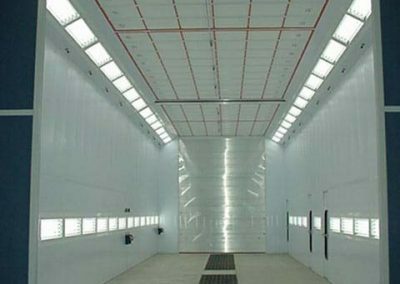 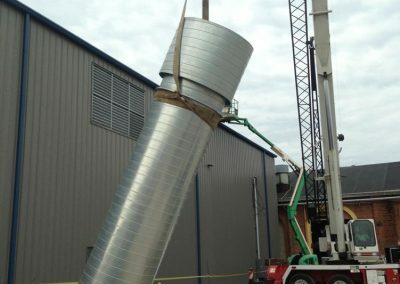 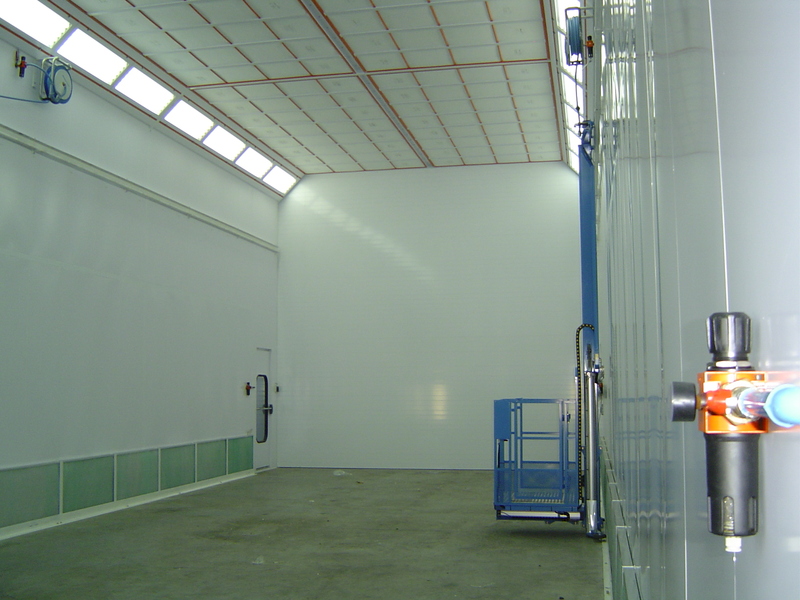 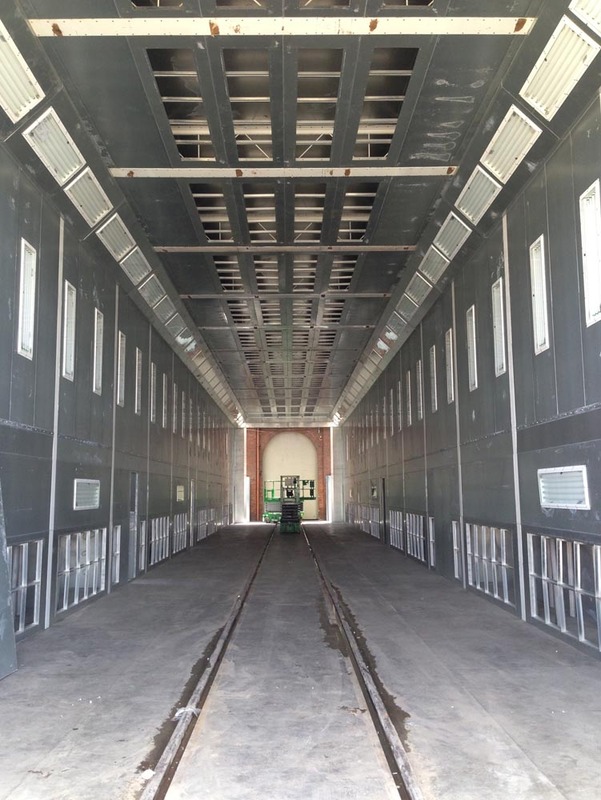 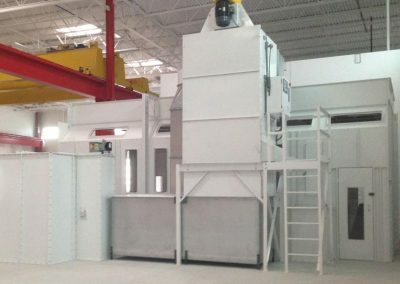 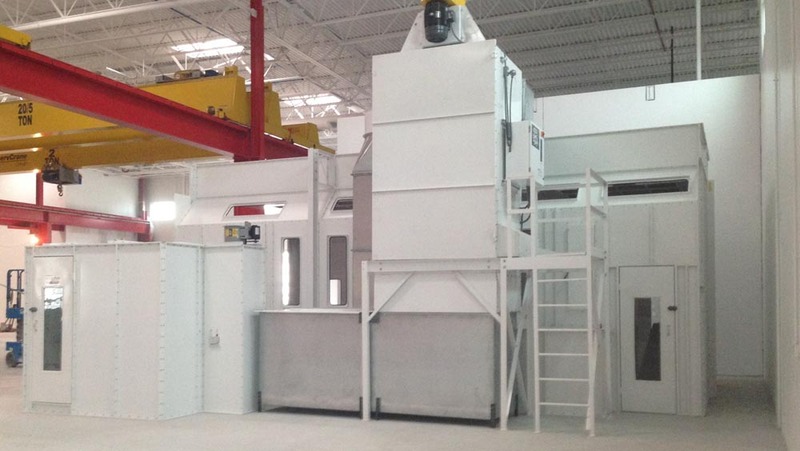 Our factory trained installation crew can get your new Truck and Large Equipment Paint Booth installed correctly and quickly.